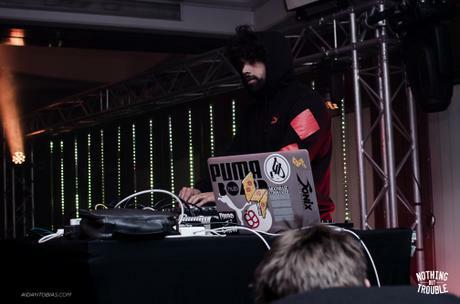 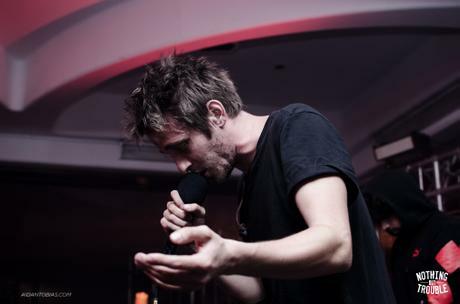 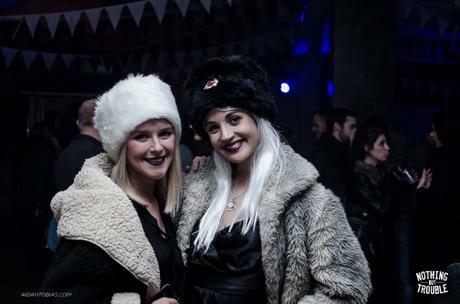 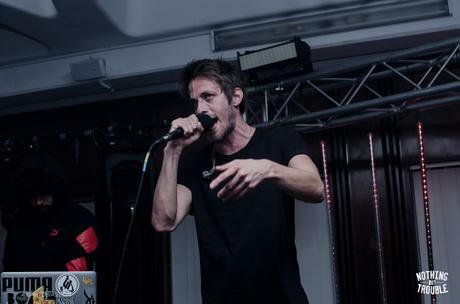 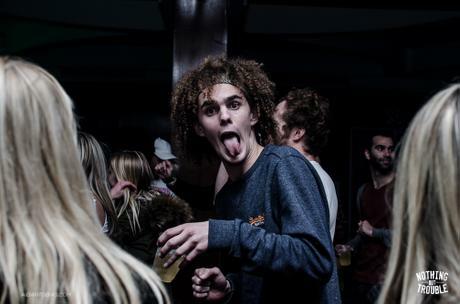 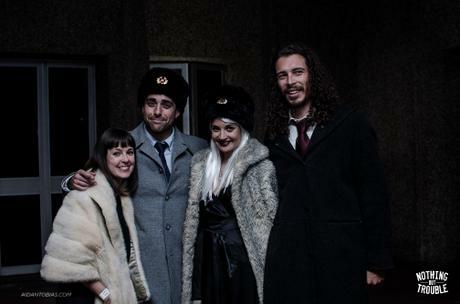 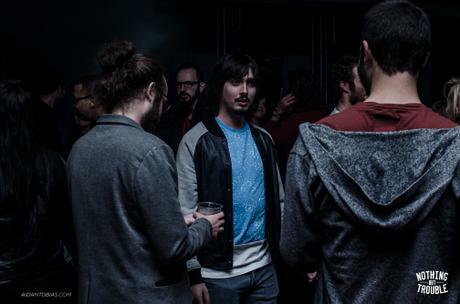 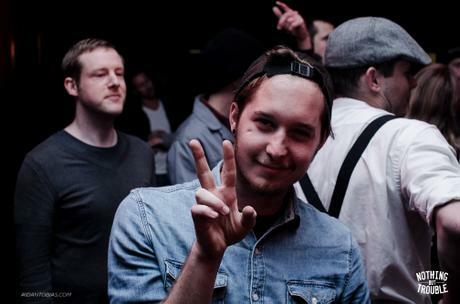 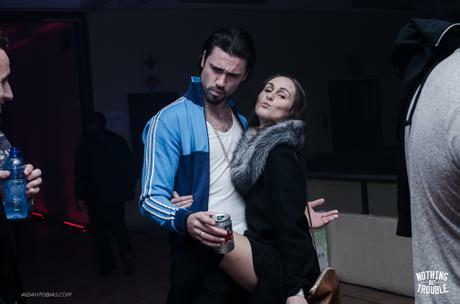 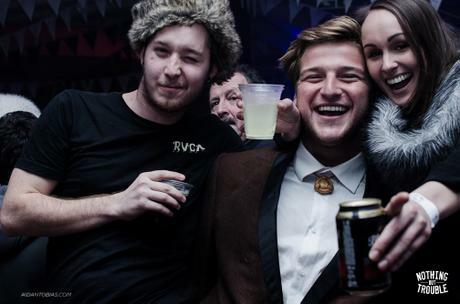 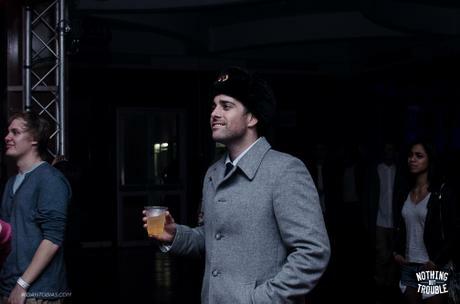 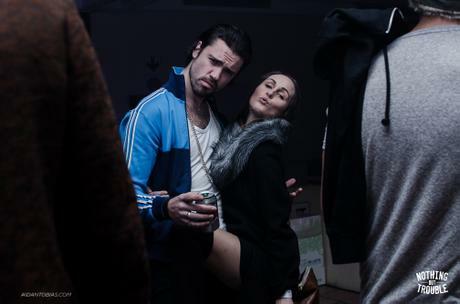 On 20 June 2015, Nothing But Trouble WCB turned Russian Red. 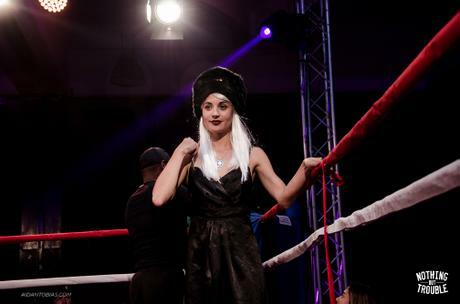 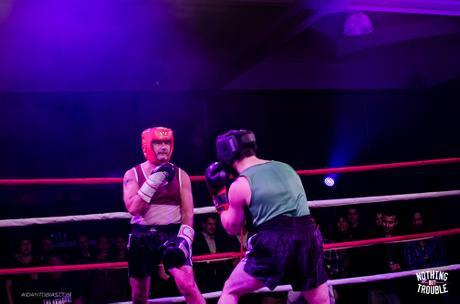 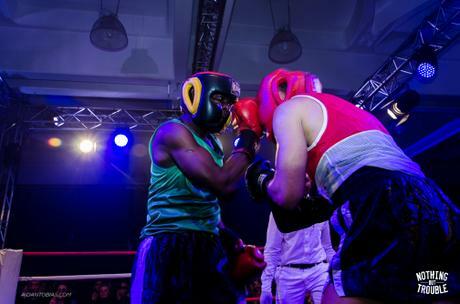 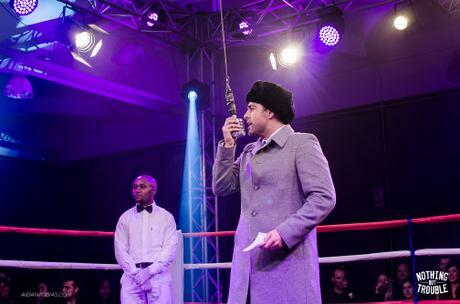 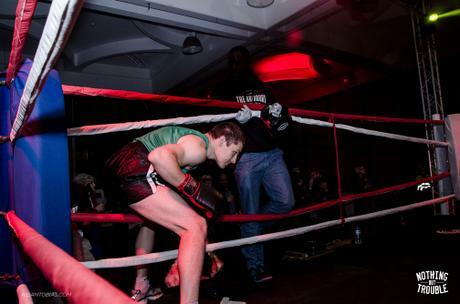 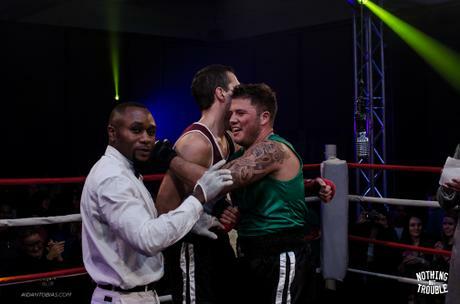 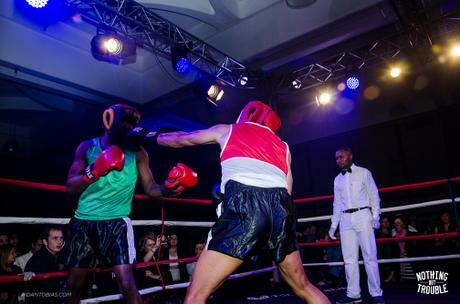 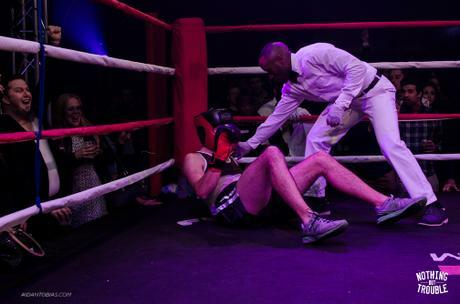 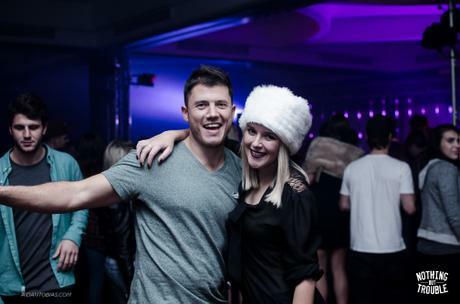 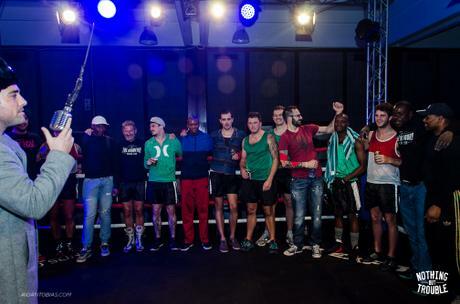 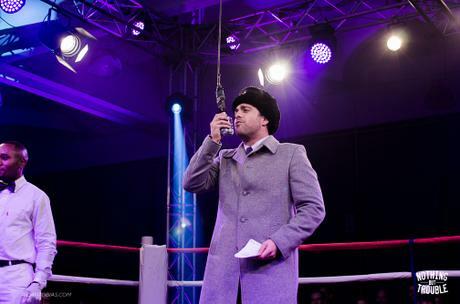 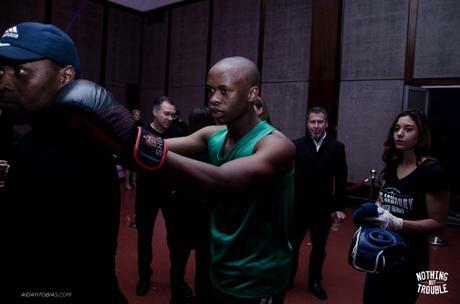 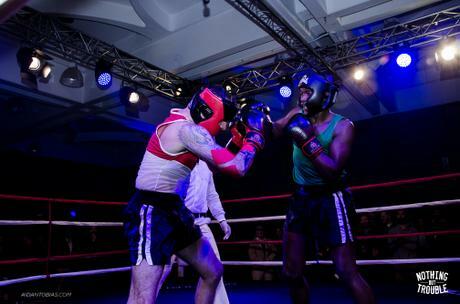 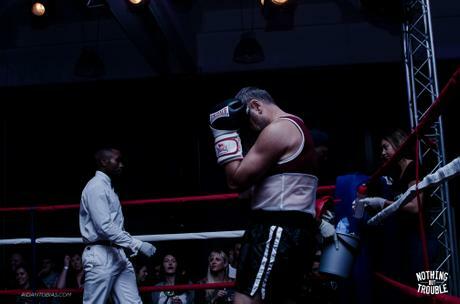 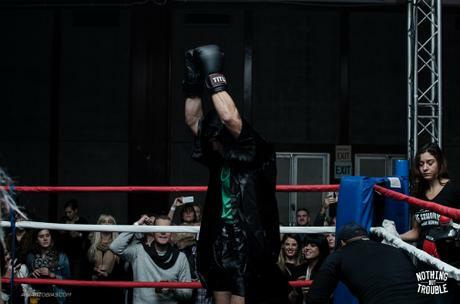 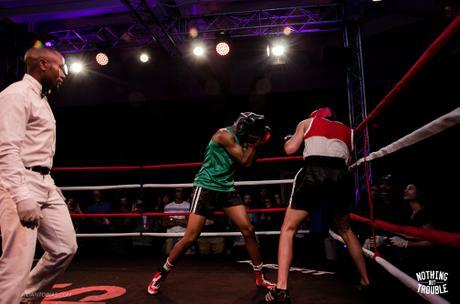 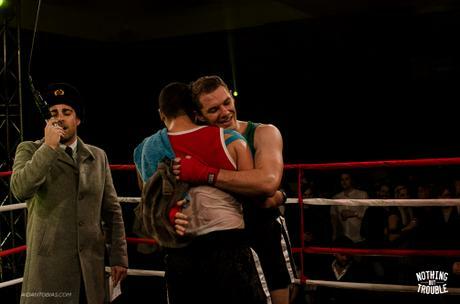 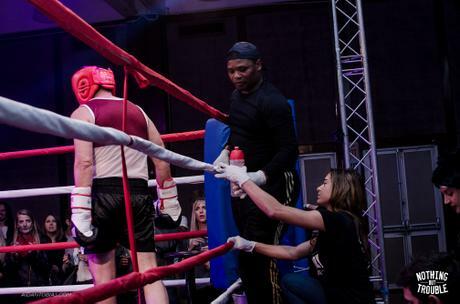 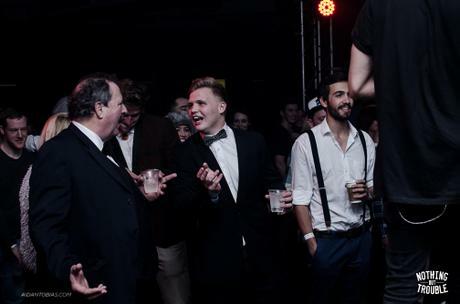 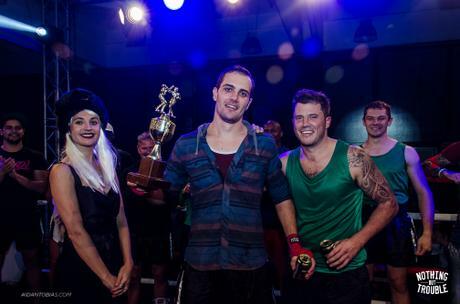 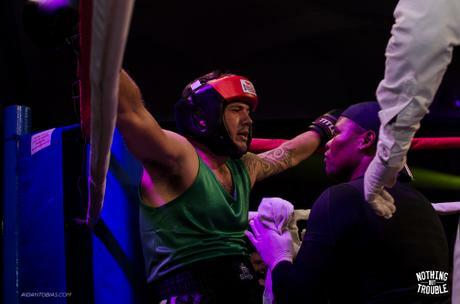 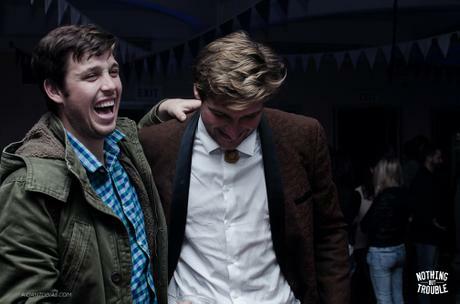 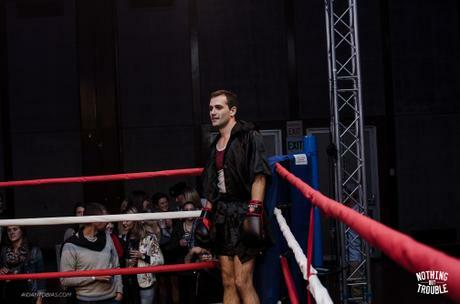 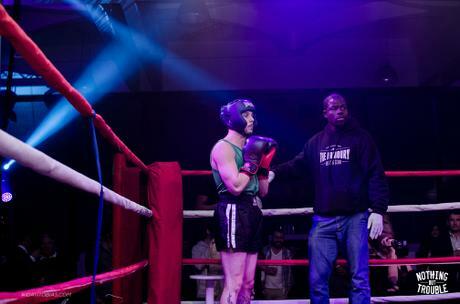 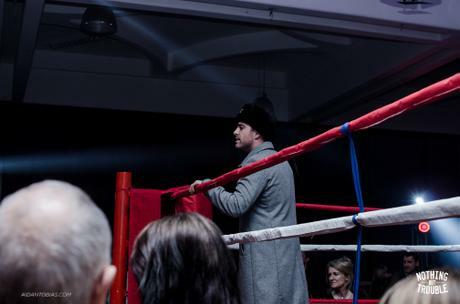 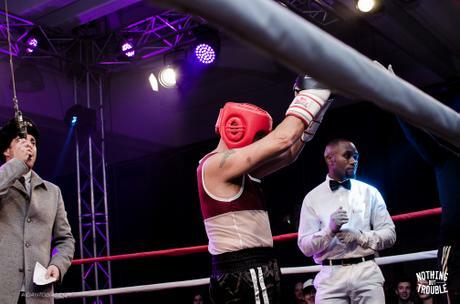 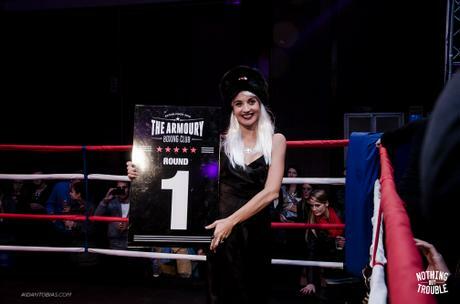 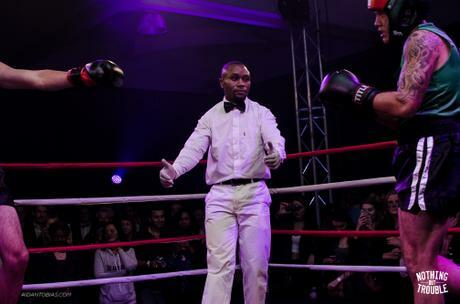 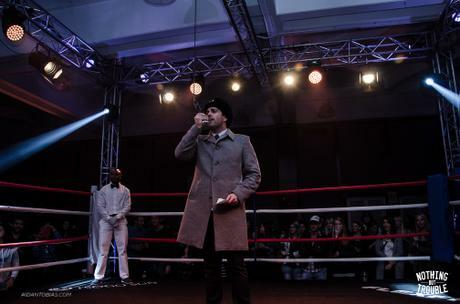 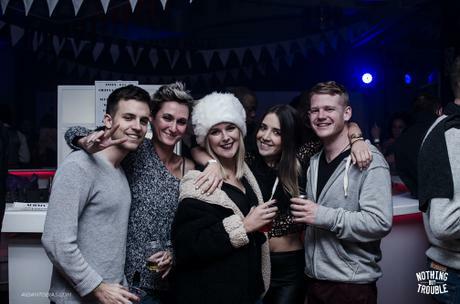 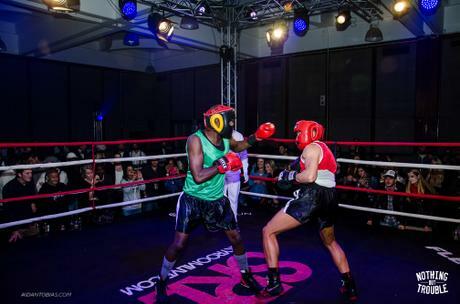 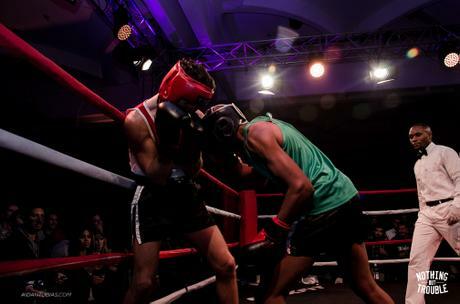 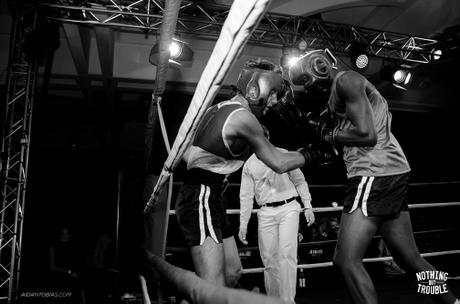 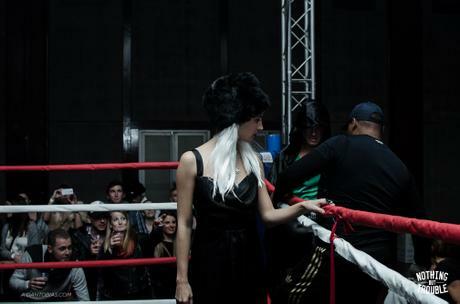 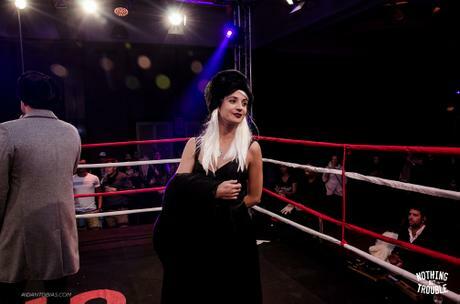 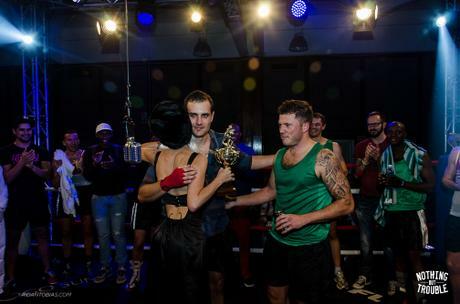 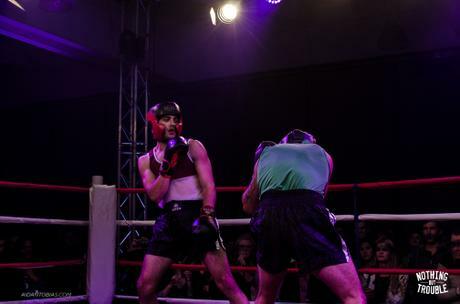 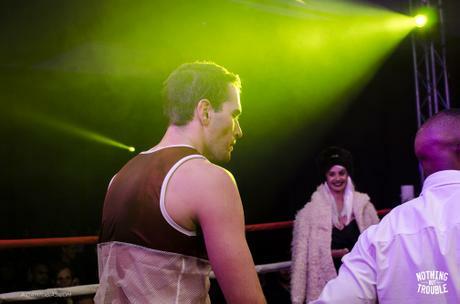 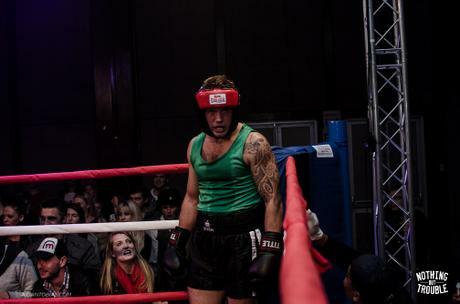 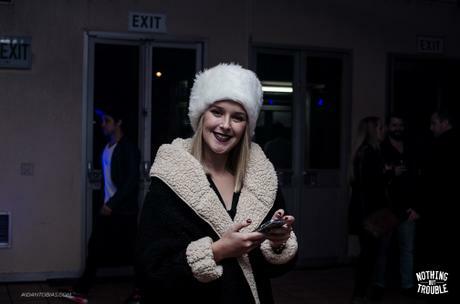 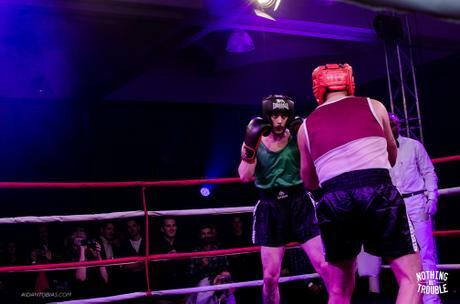 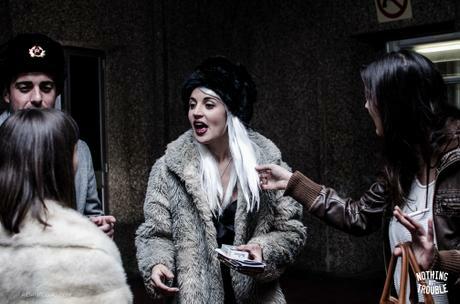 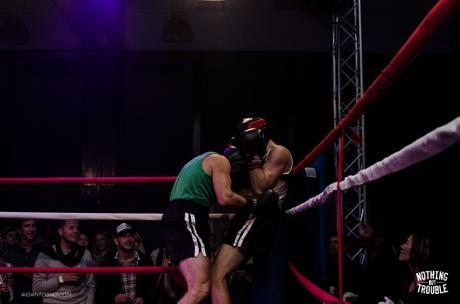 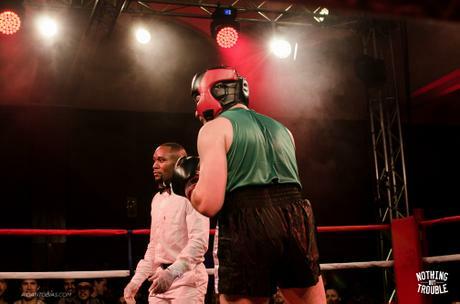 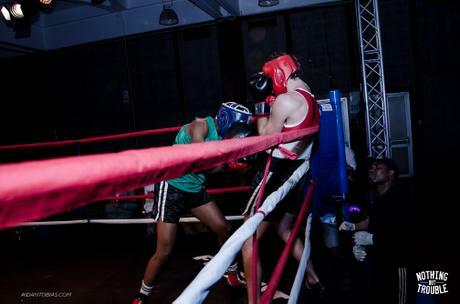 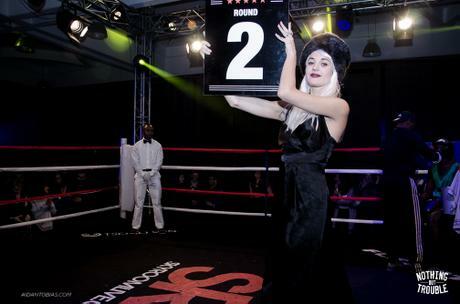 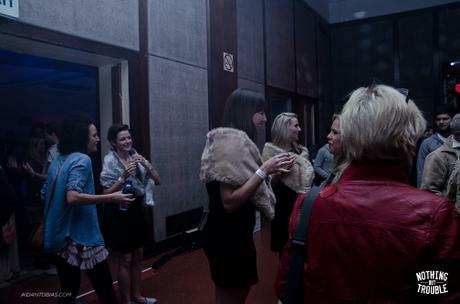 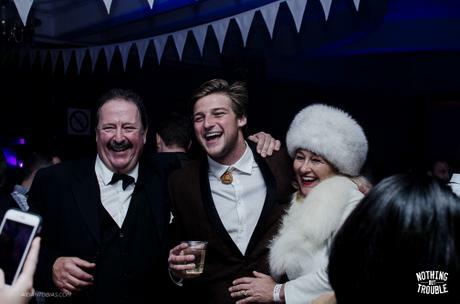 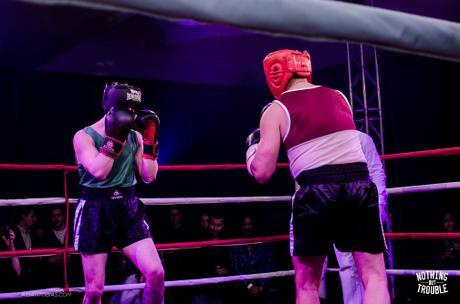 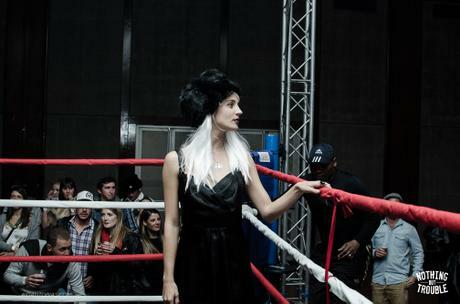 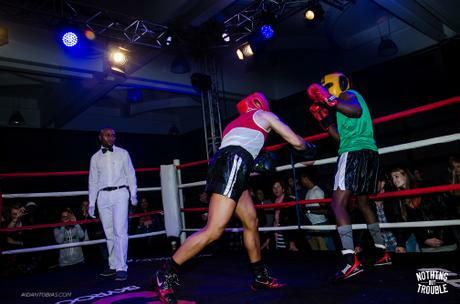 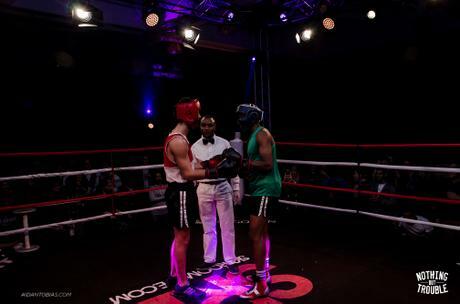 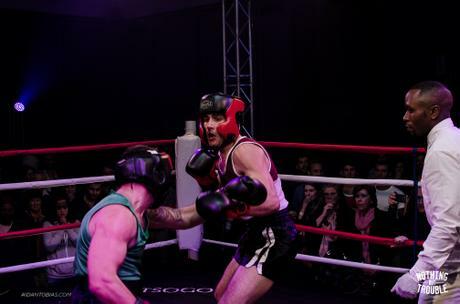 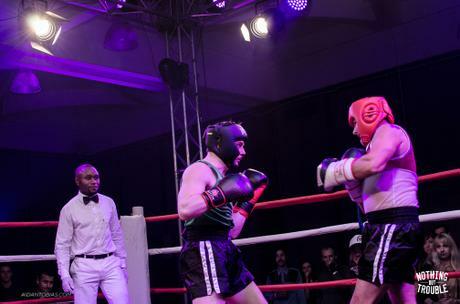 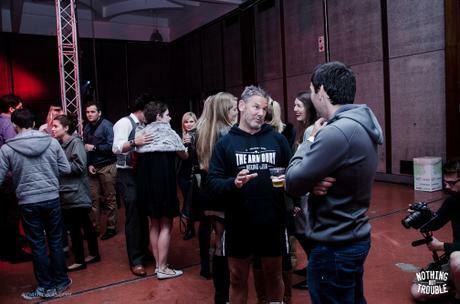 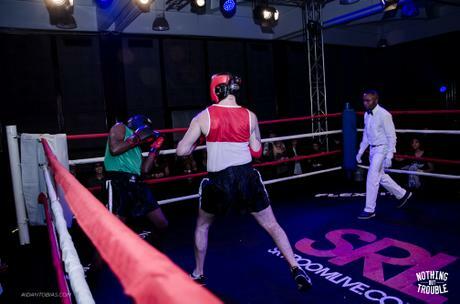 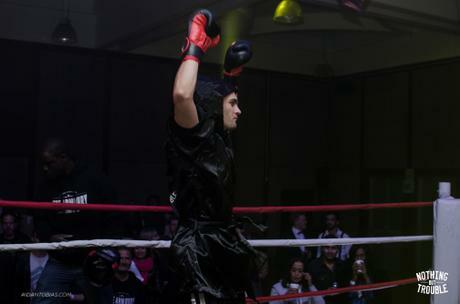 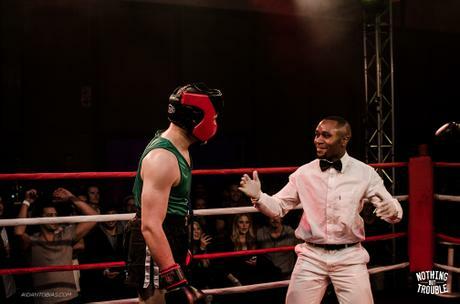 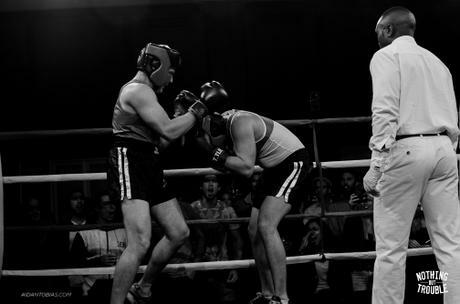 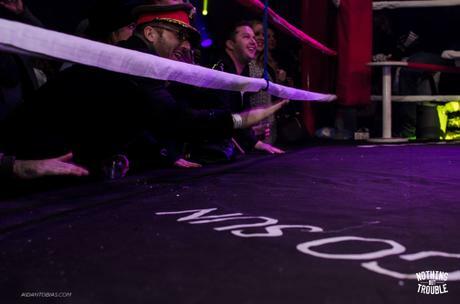 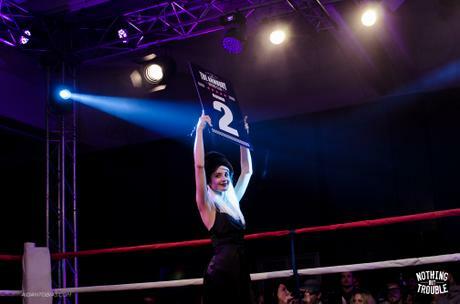 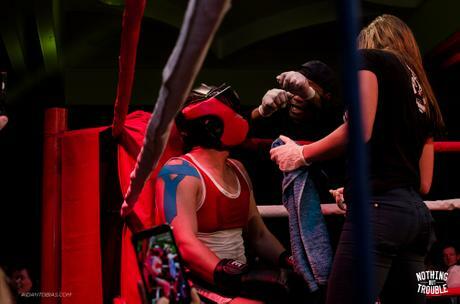 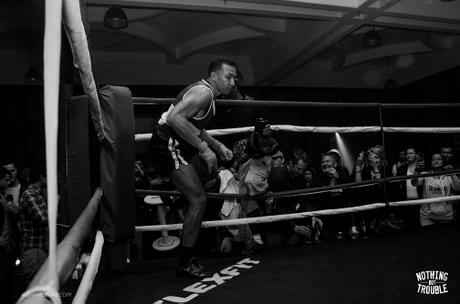 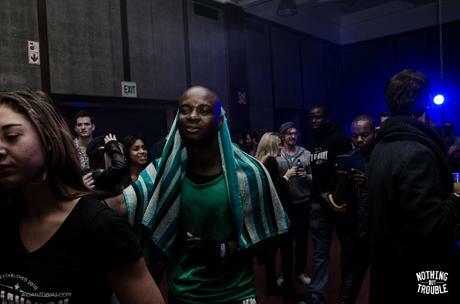 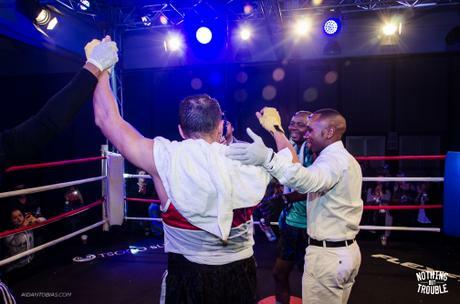 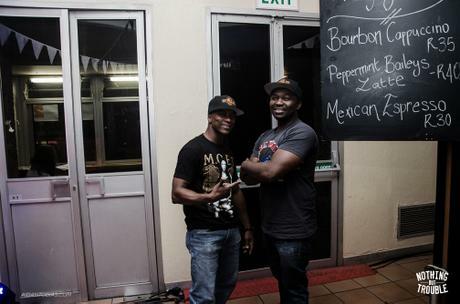 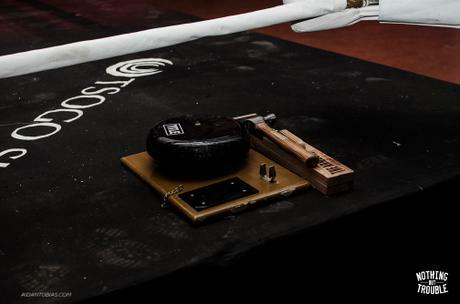 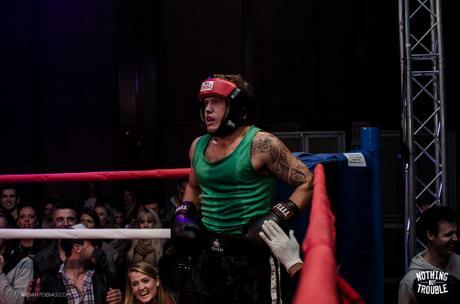 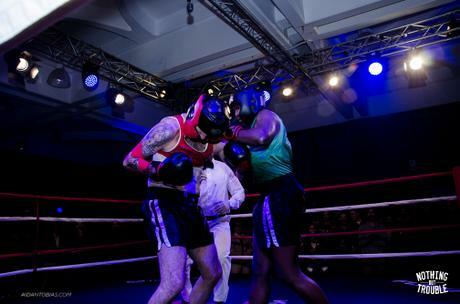 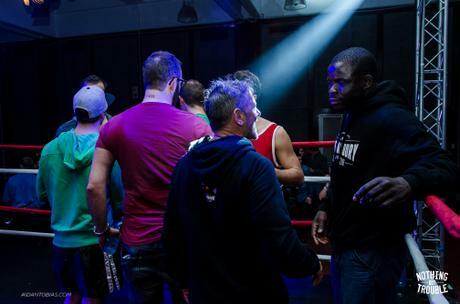 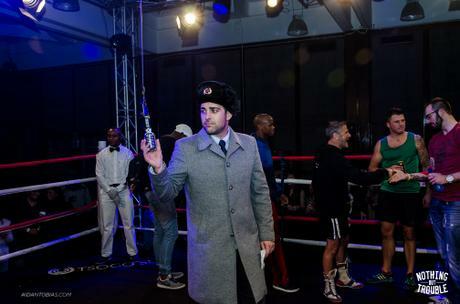 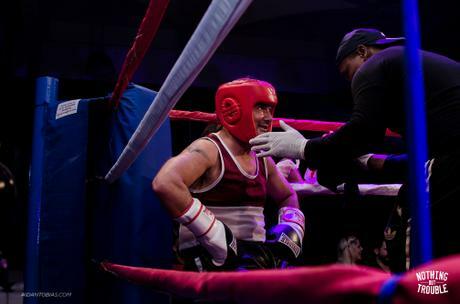 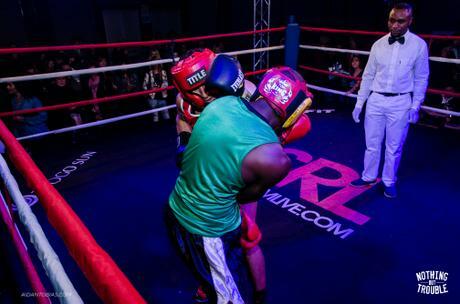 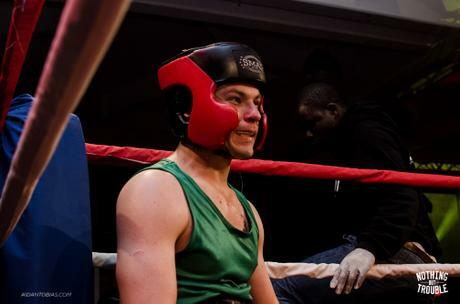 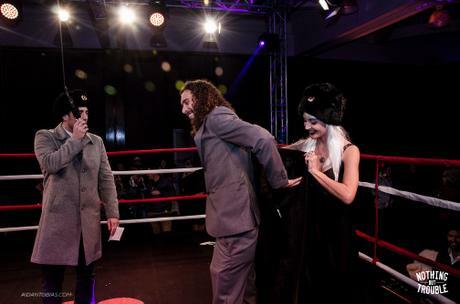 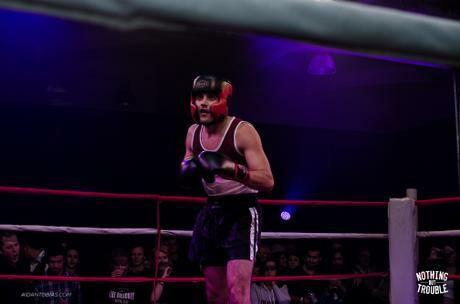 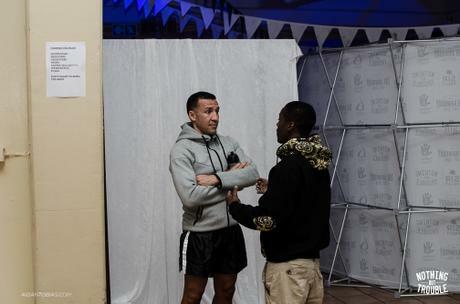 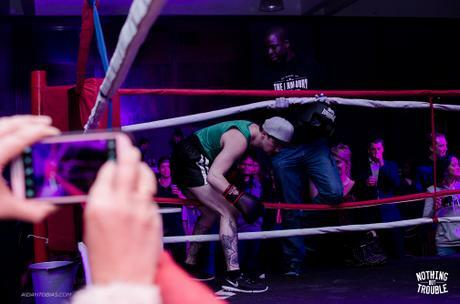 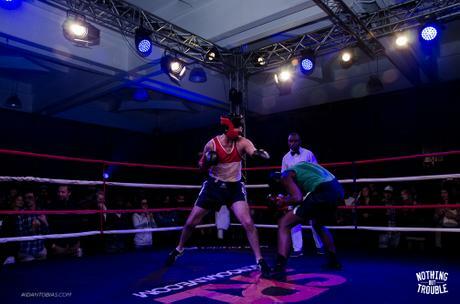 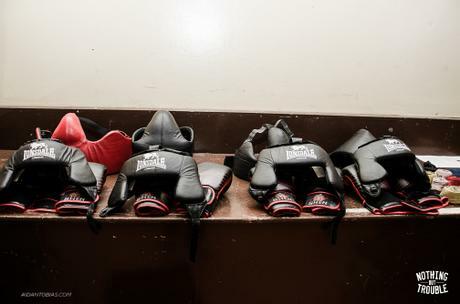 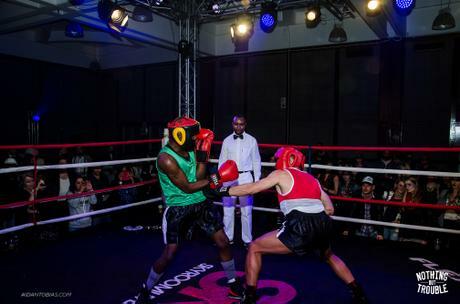 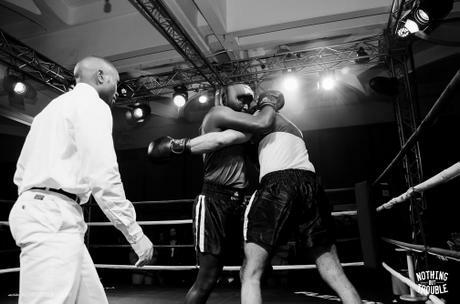 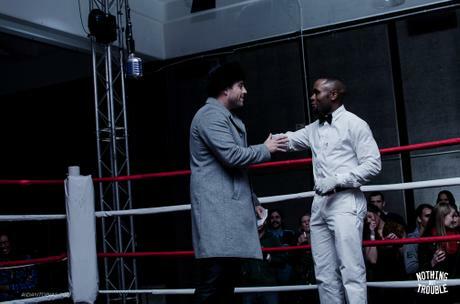 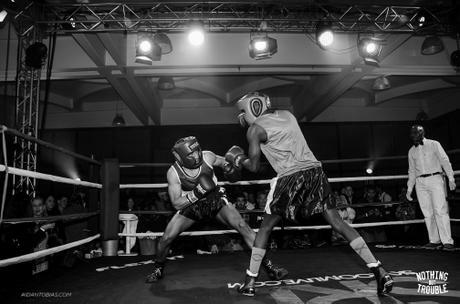 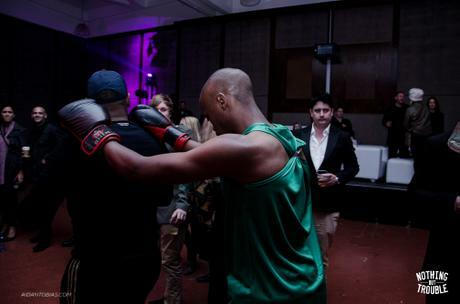 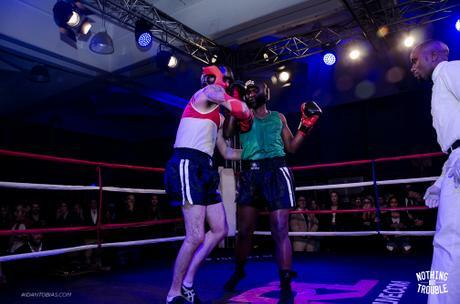 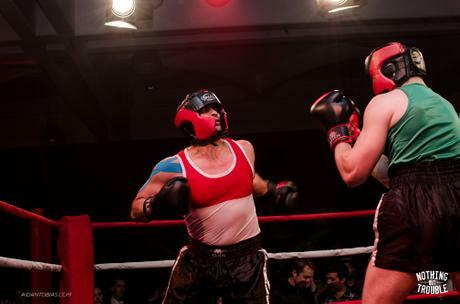 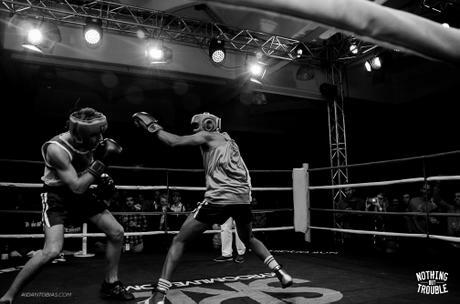 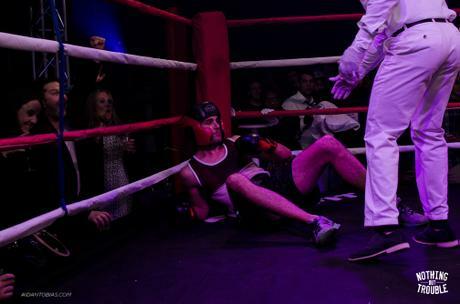 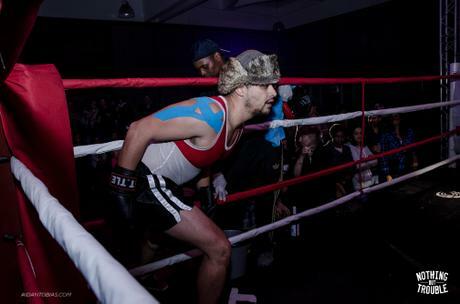 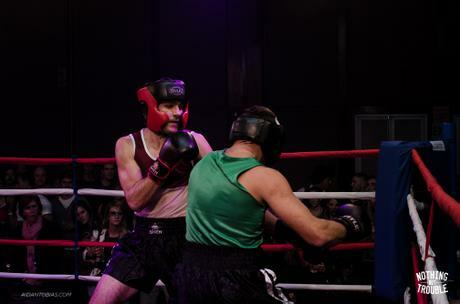 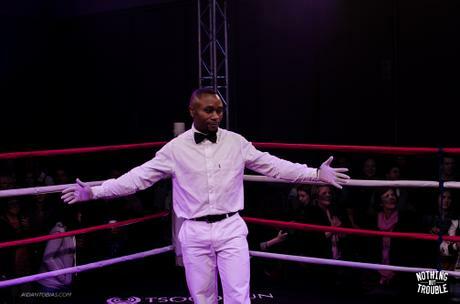 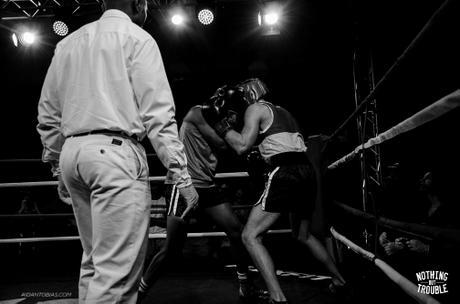 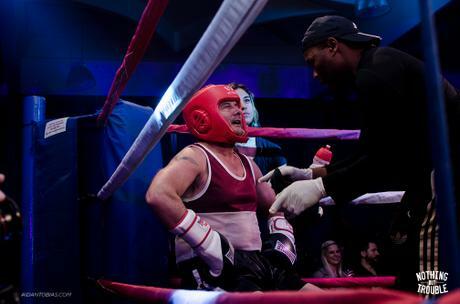 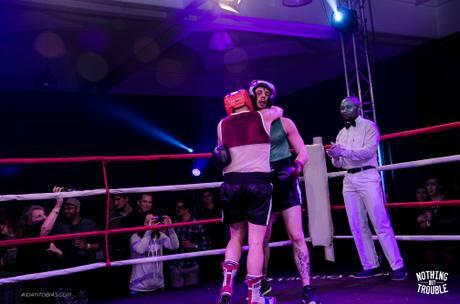 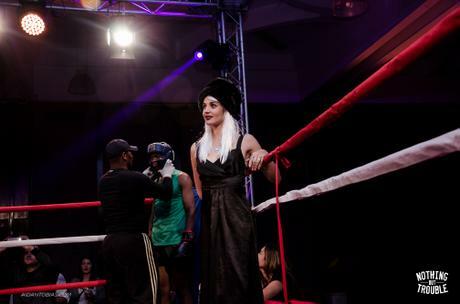 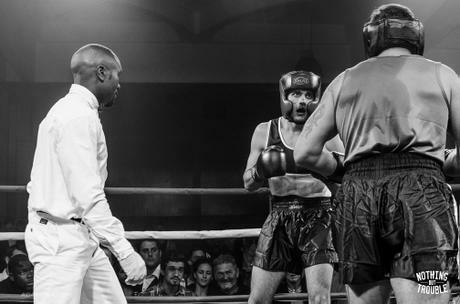 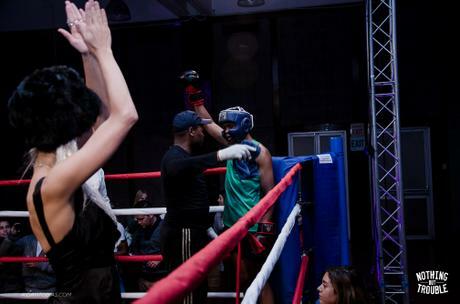 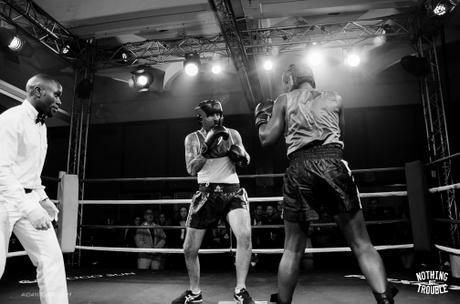 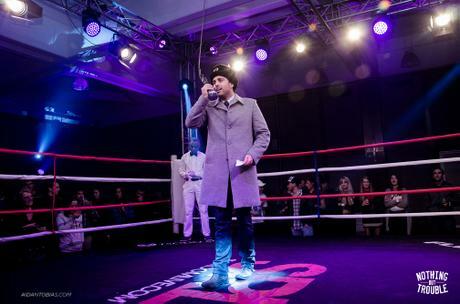 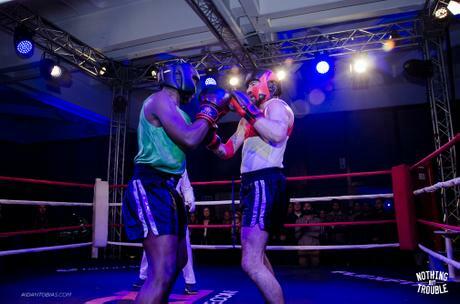 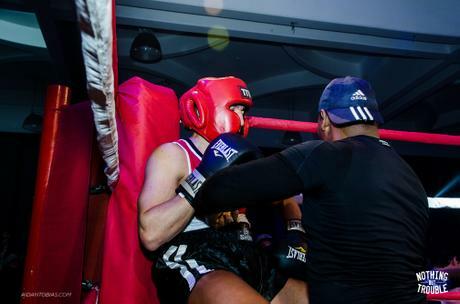 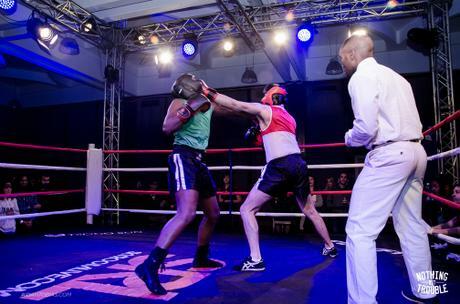 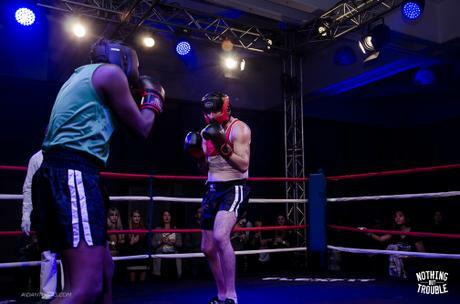 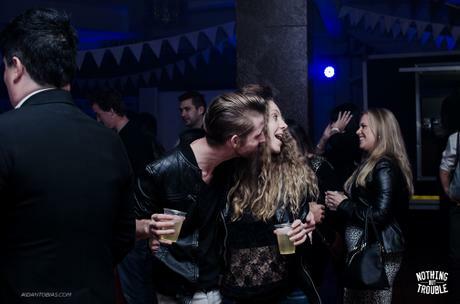 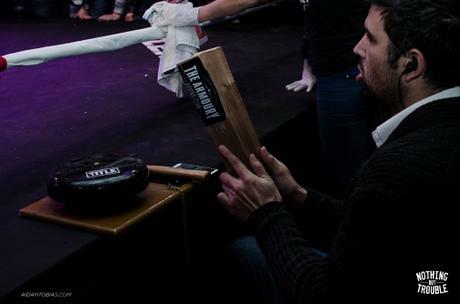 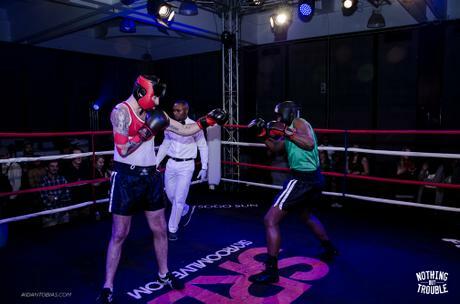 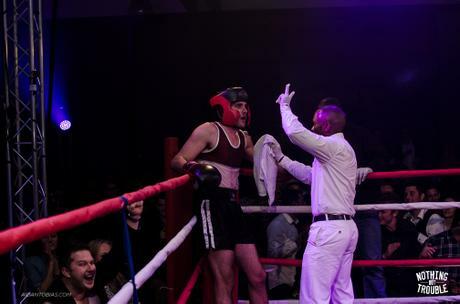 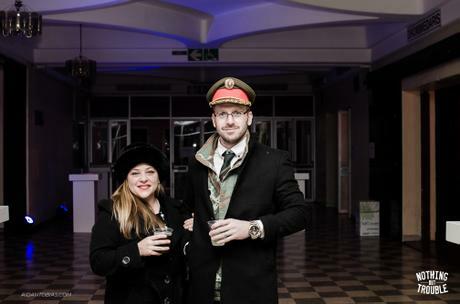 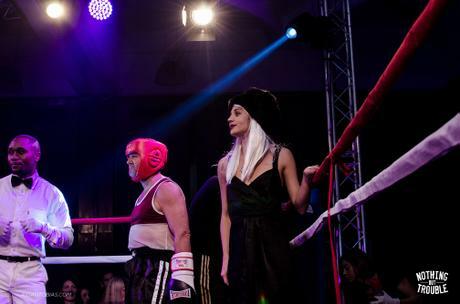 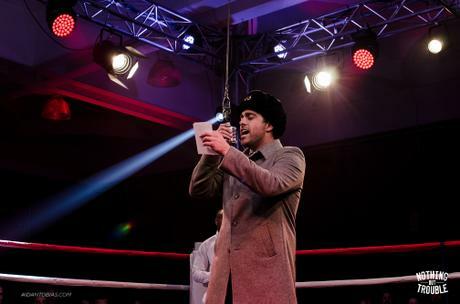 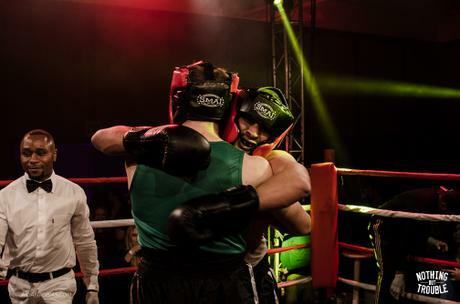 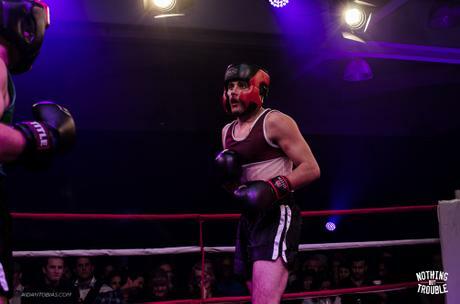 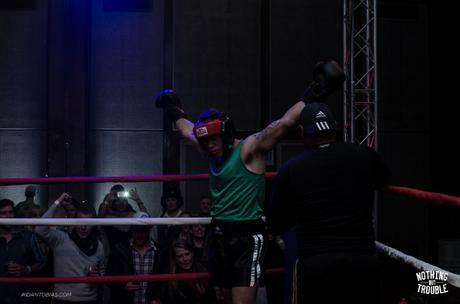 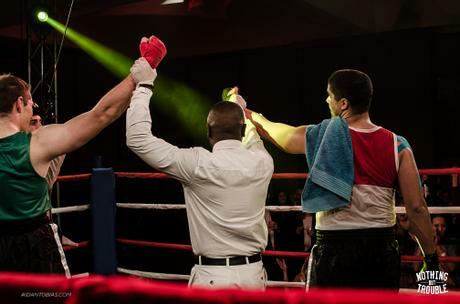 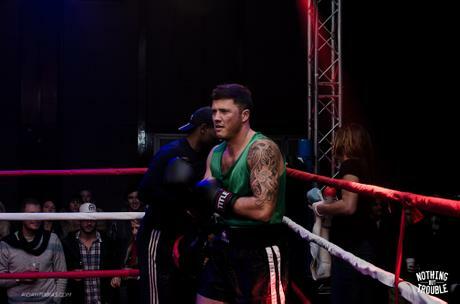 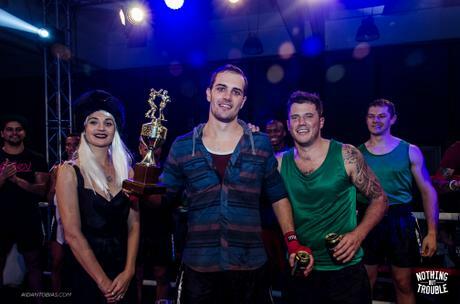 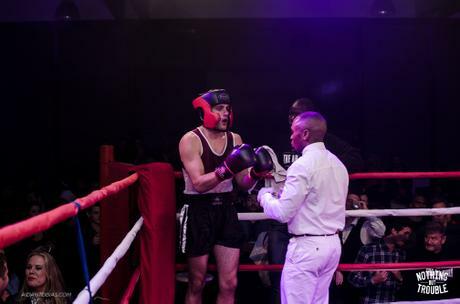 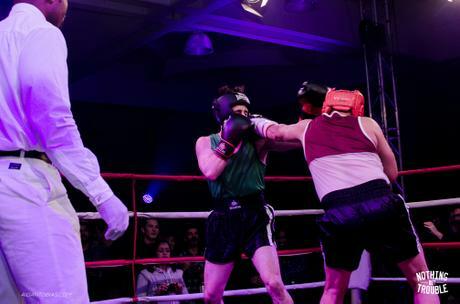 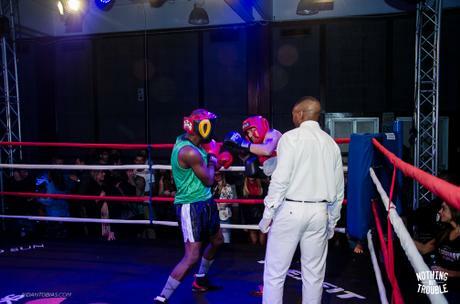 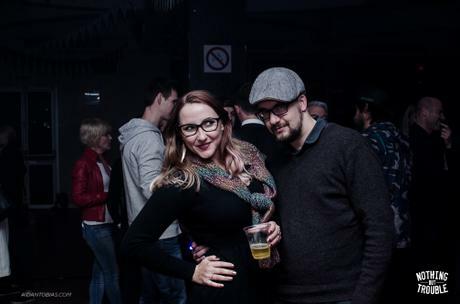 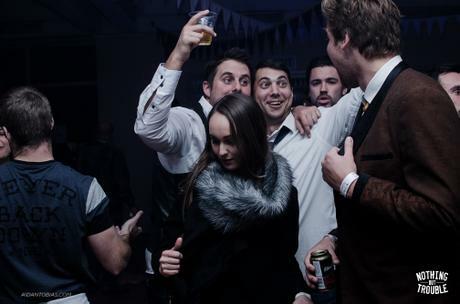 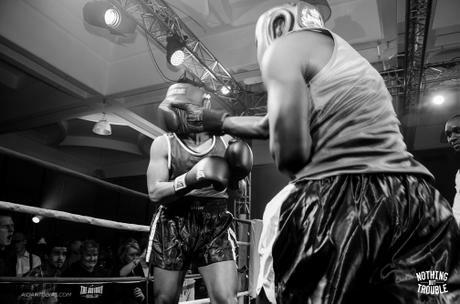 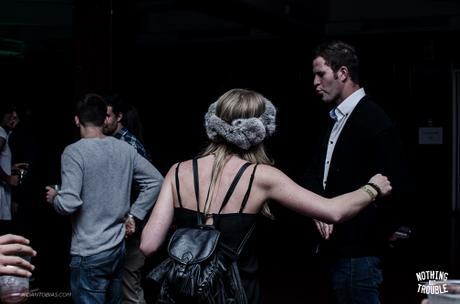 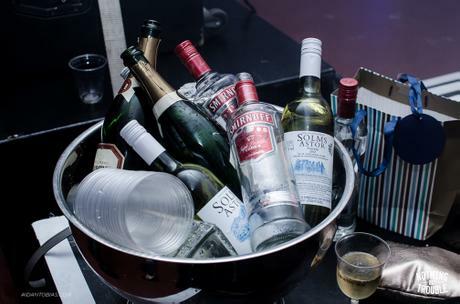 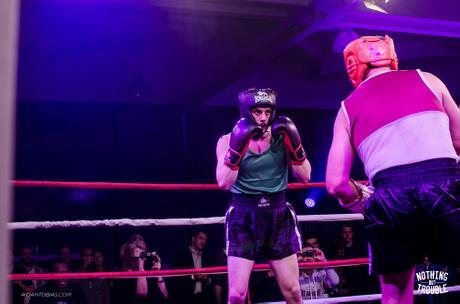 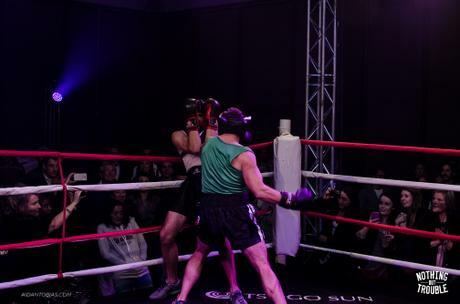 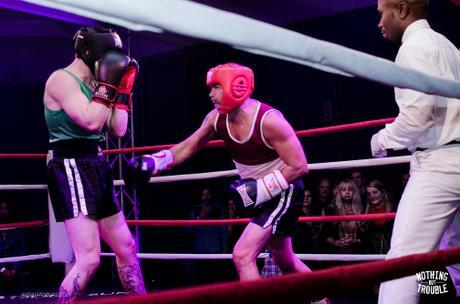 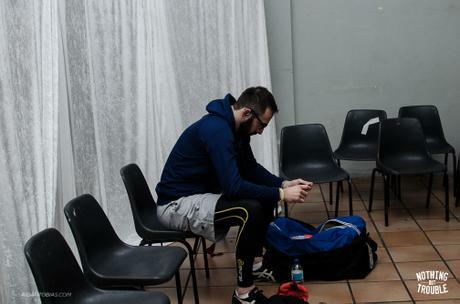 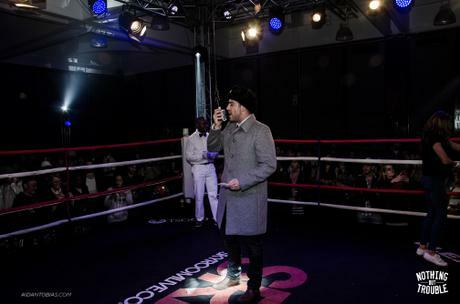 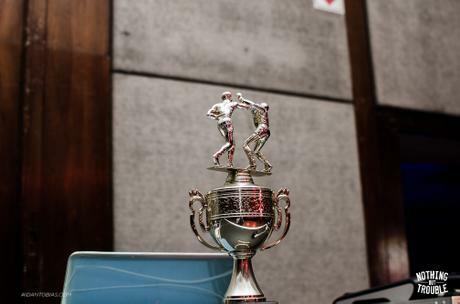 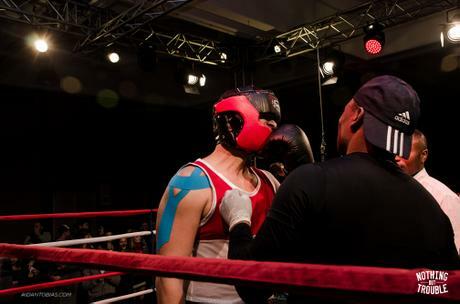 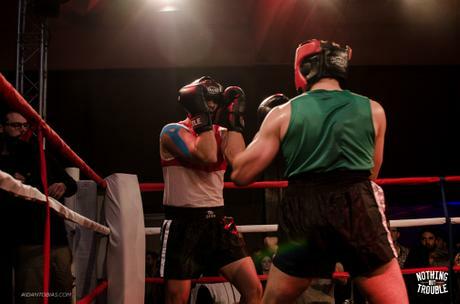 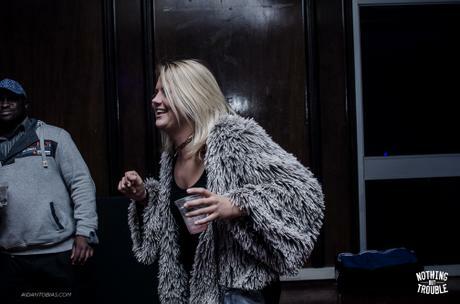 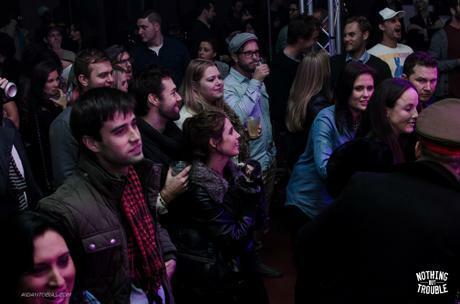 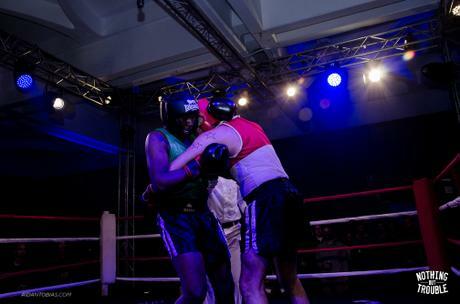 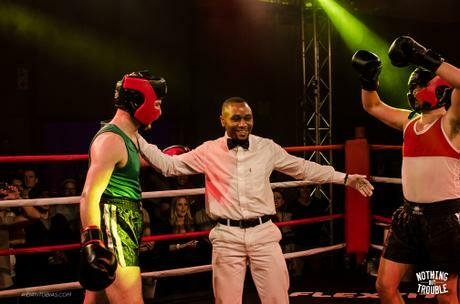 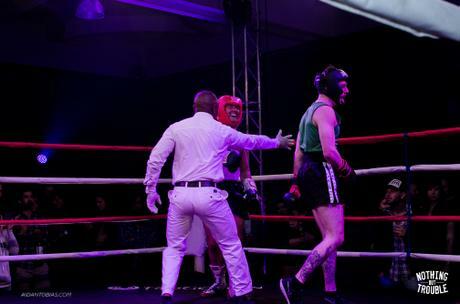 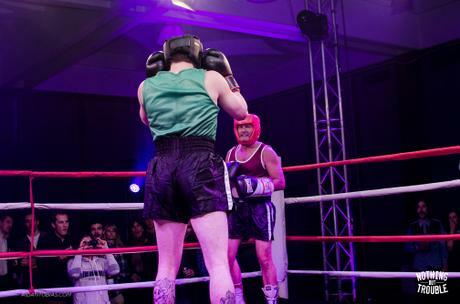 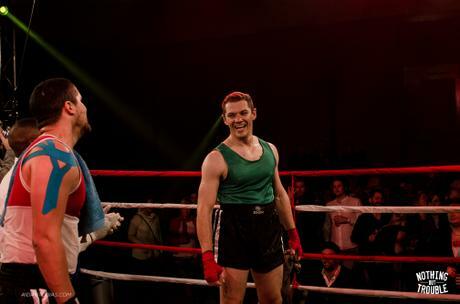 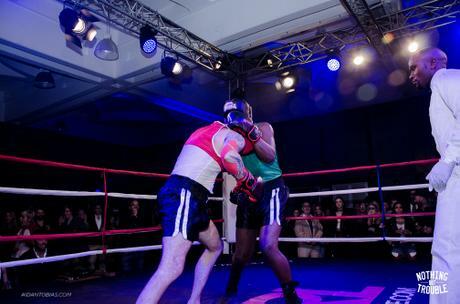 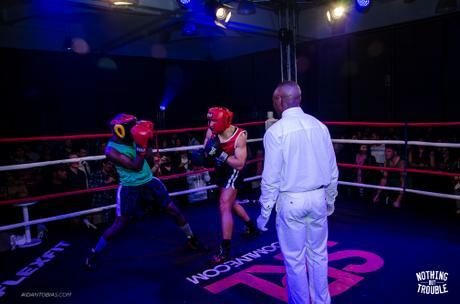 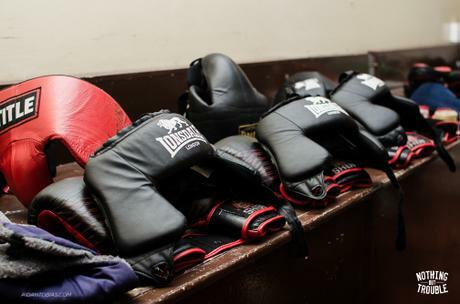 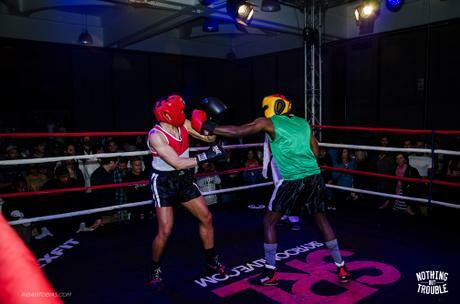 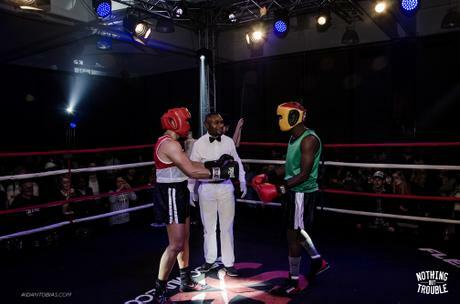 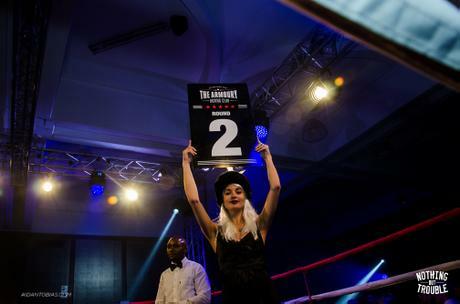 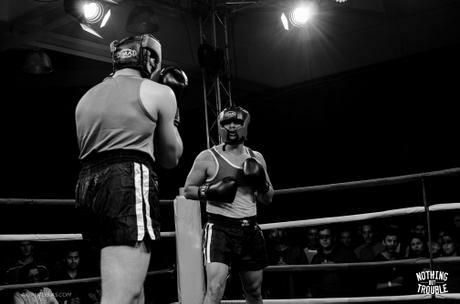 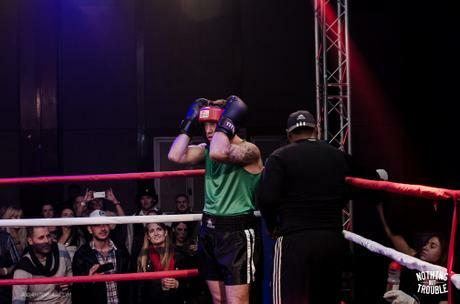 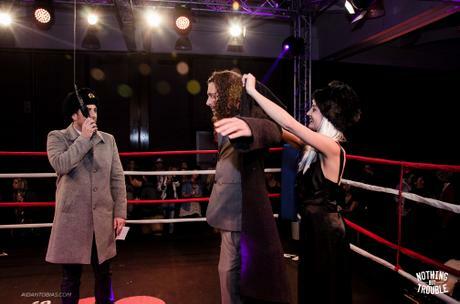 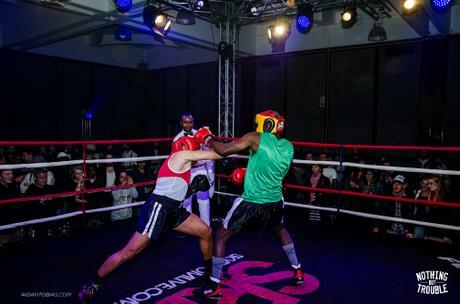 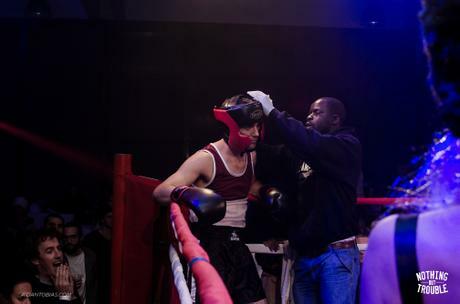 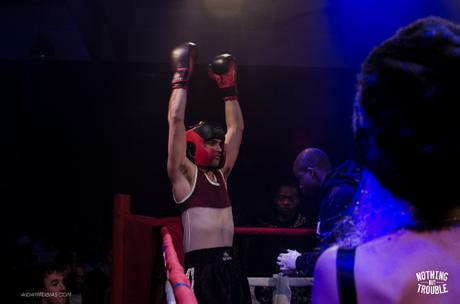 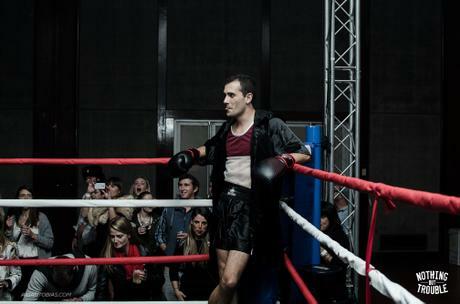 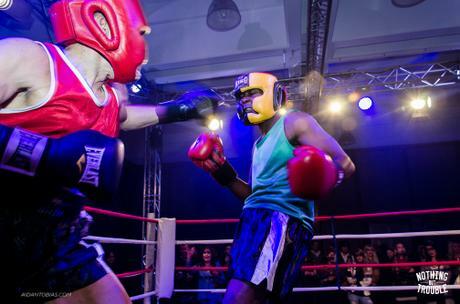 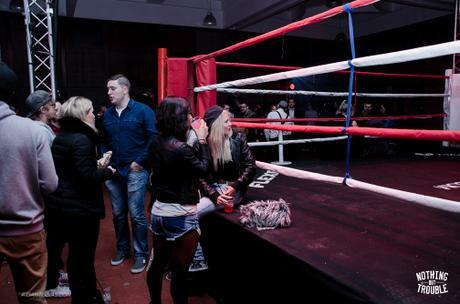 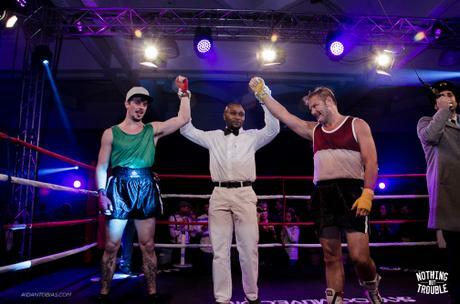 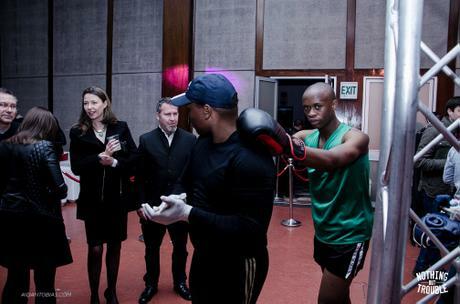 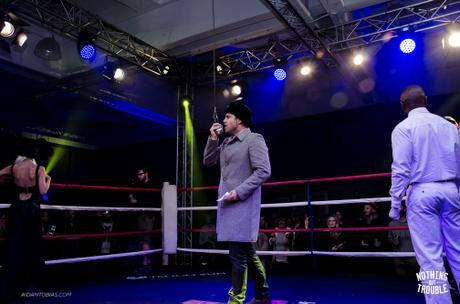 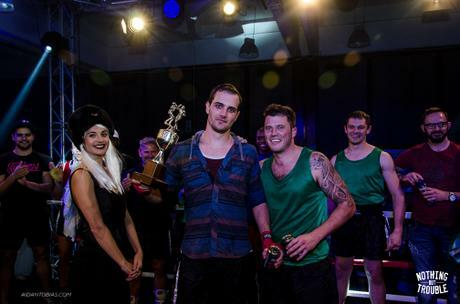 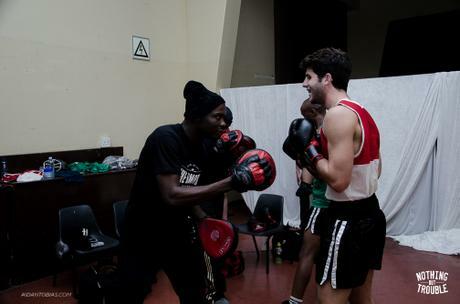 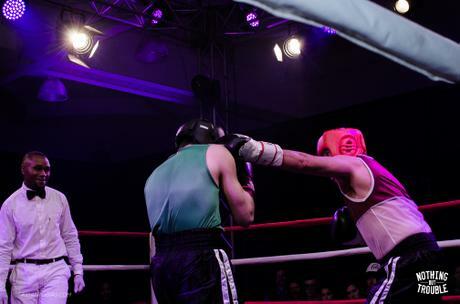 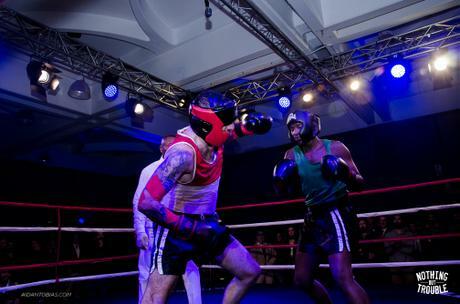 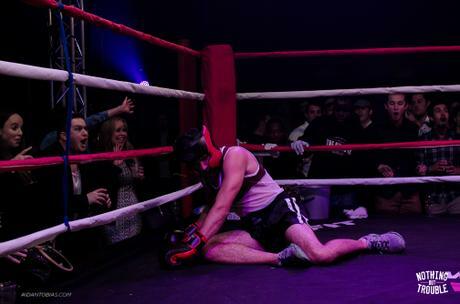 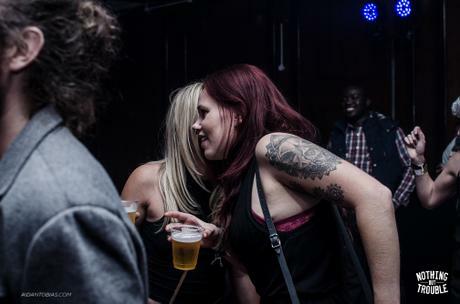 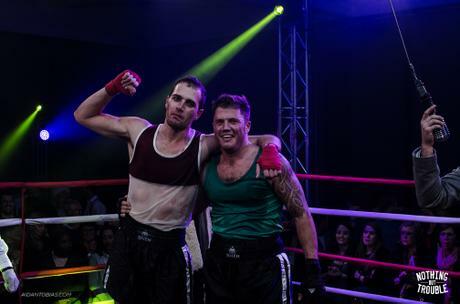 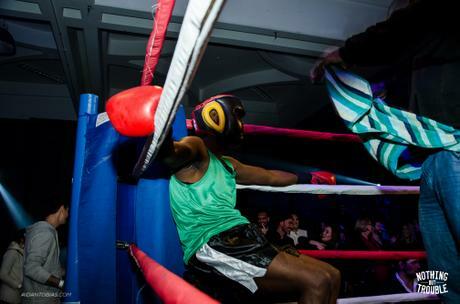 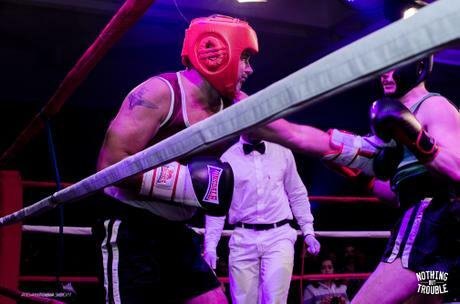 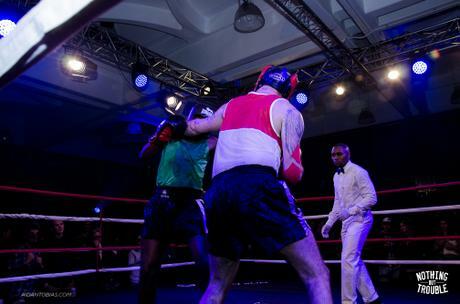 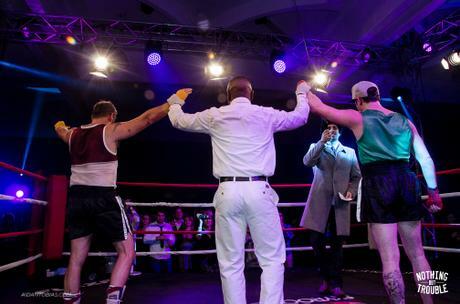 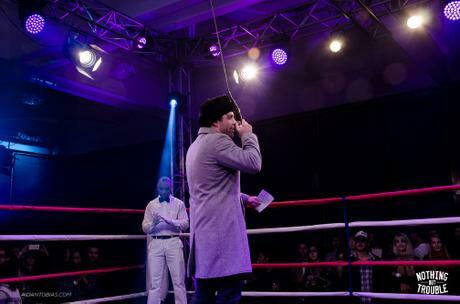 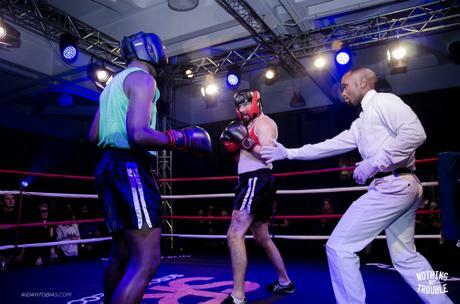 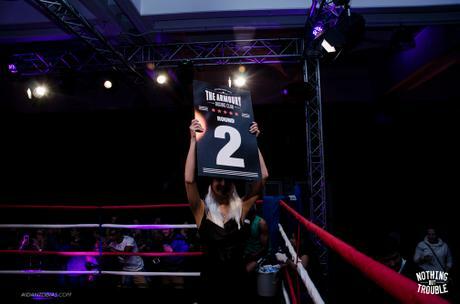 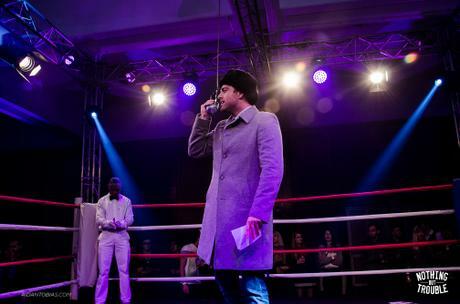 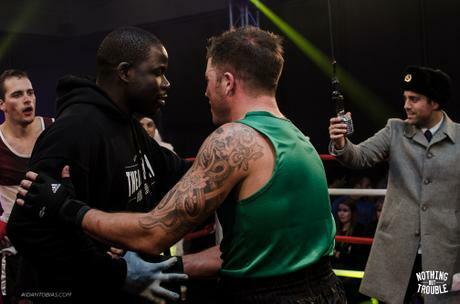 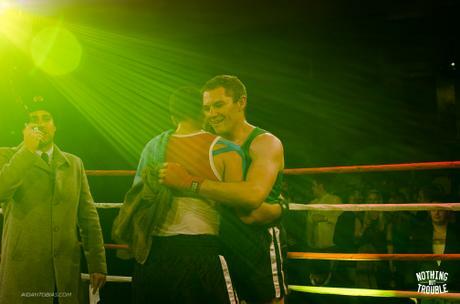 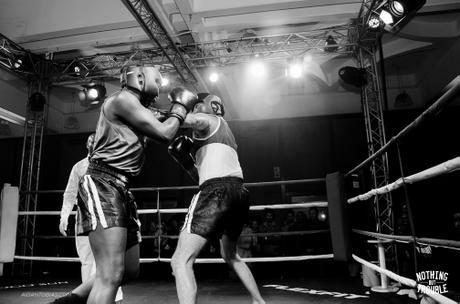 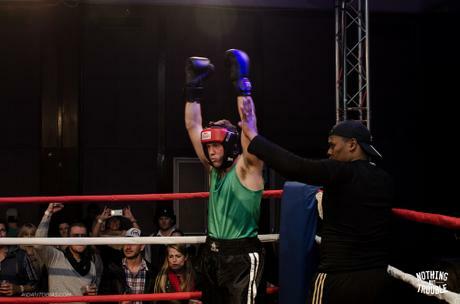 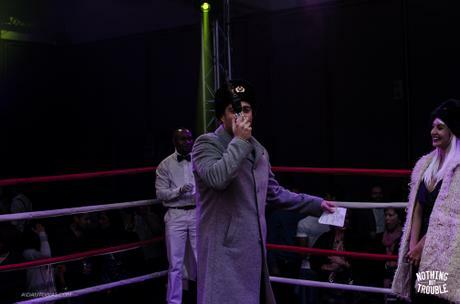 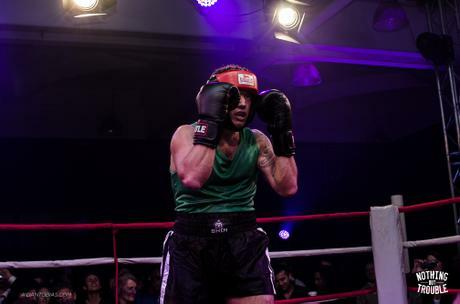 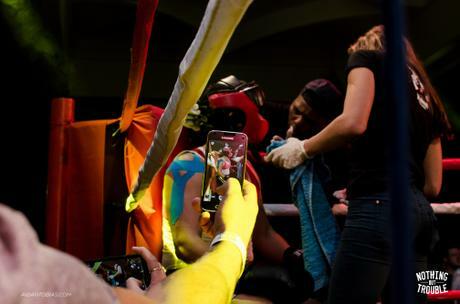 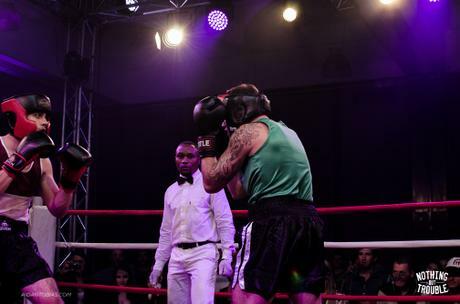 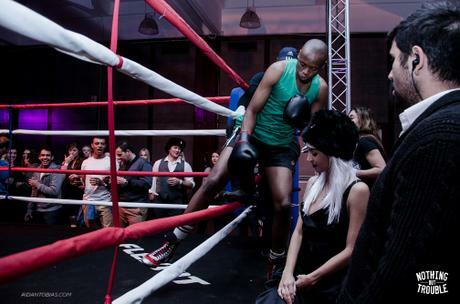 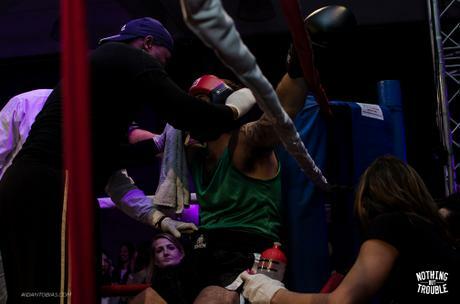 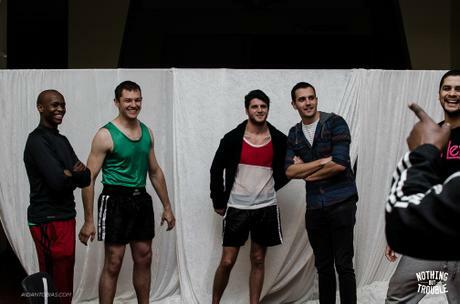 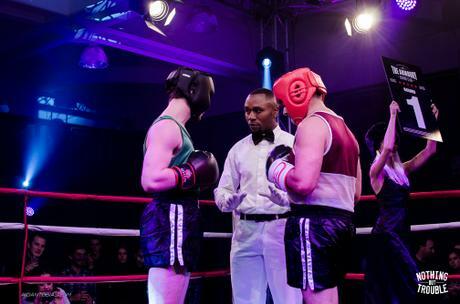 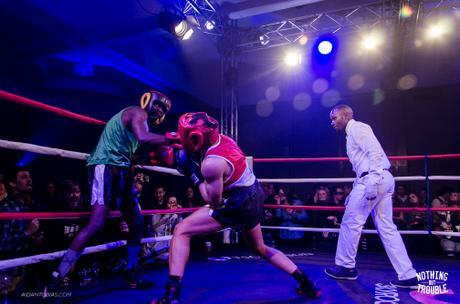 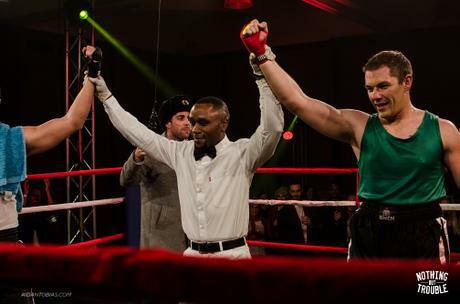 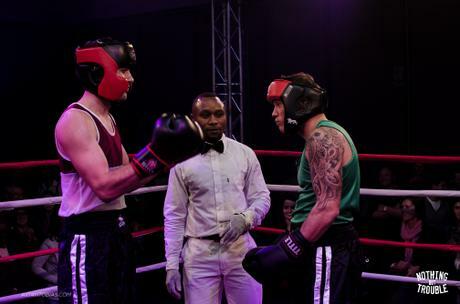 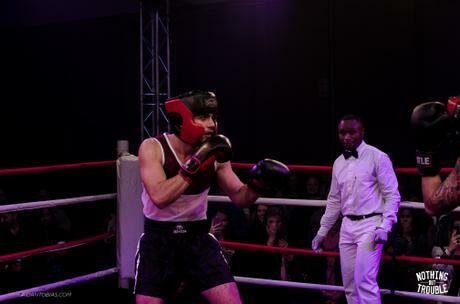 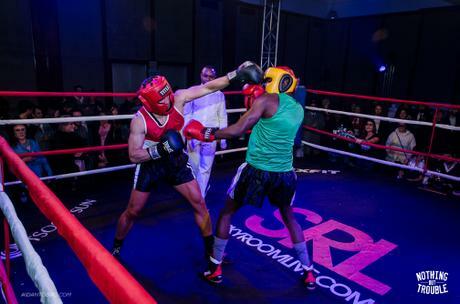 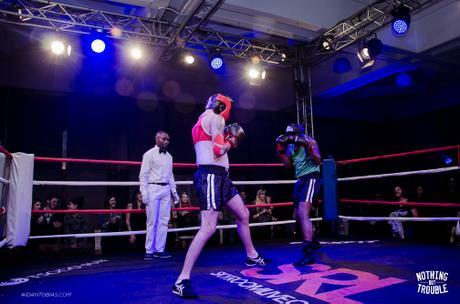 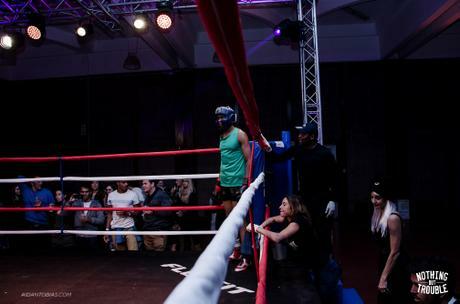 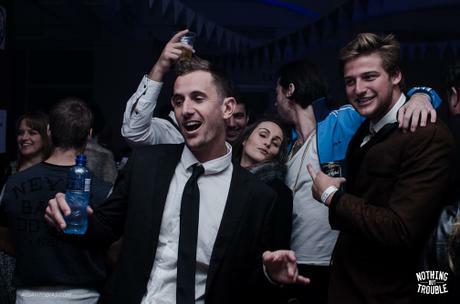 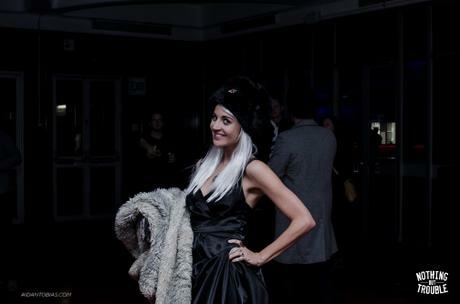 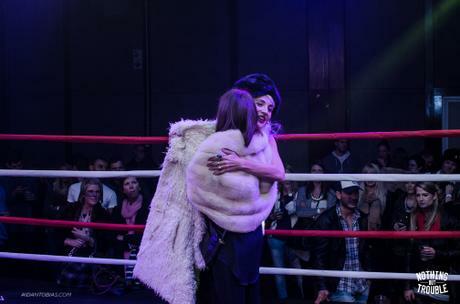 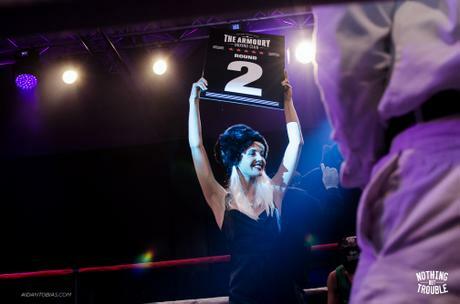 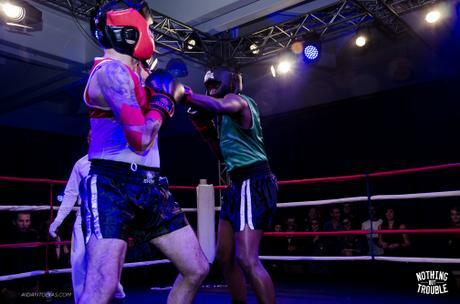 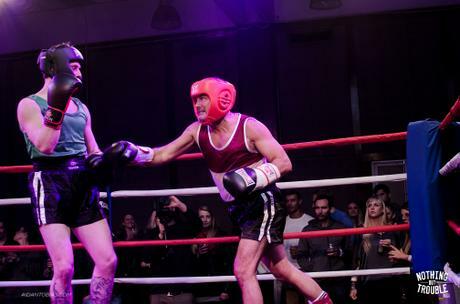 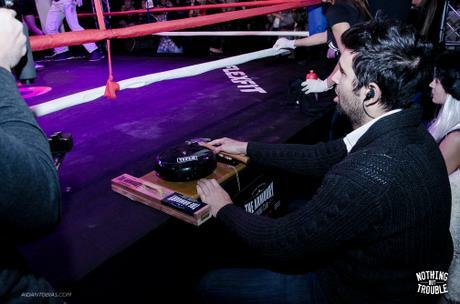 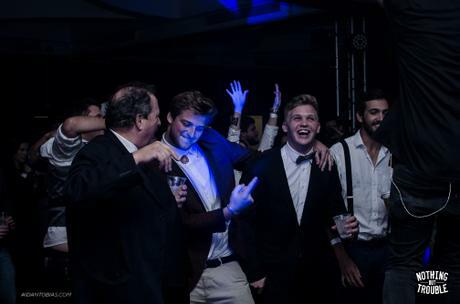 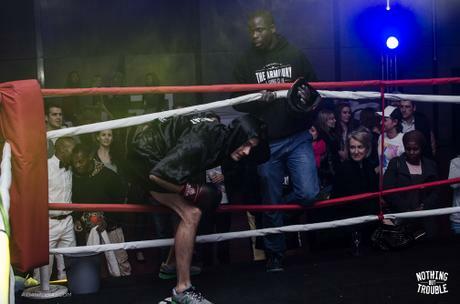 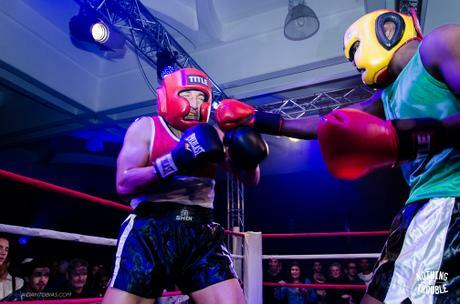 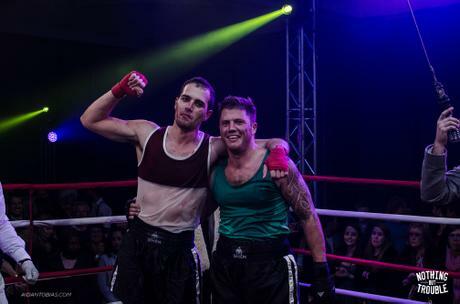 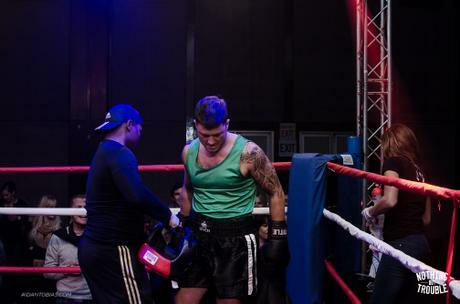 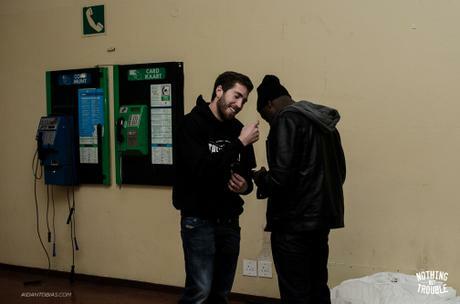 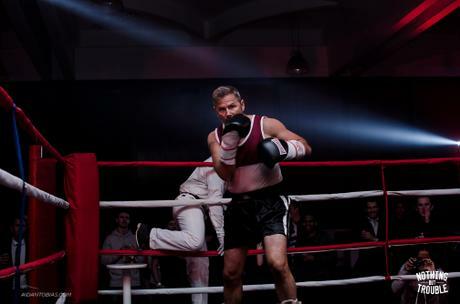 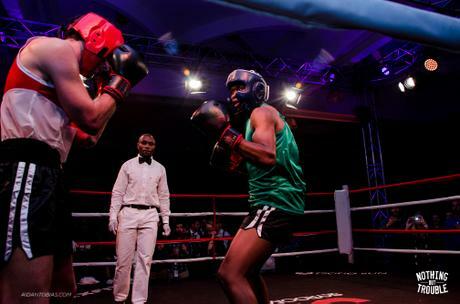 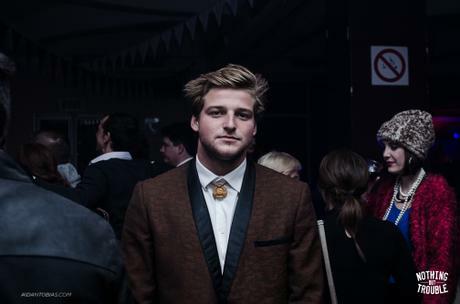 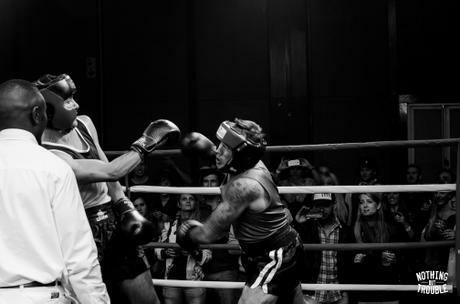 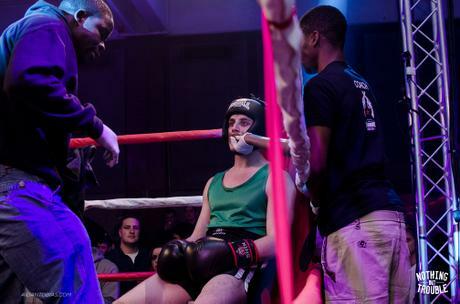 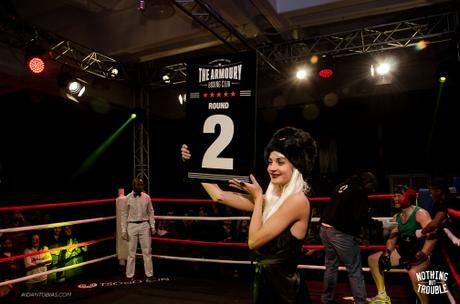 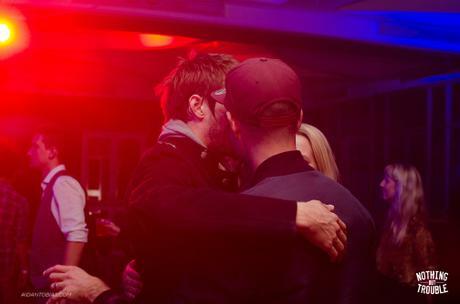 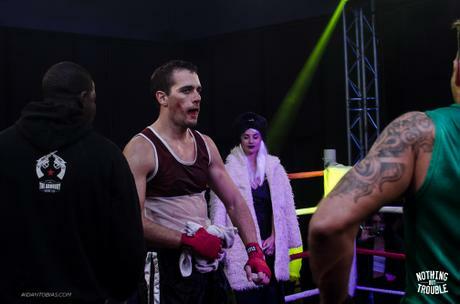 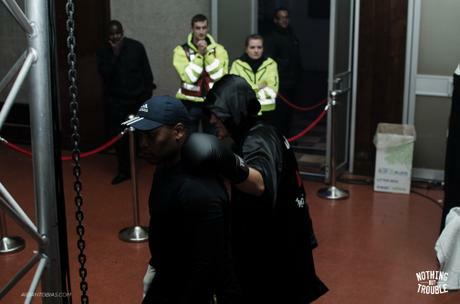 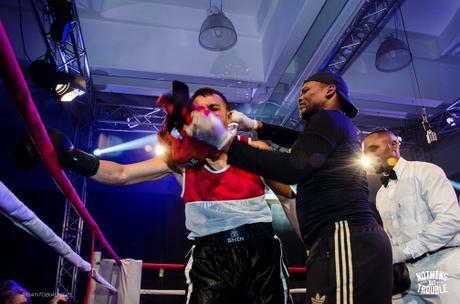 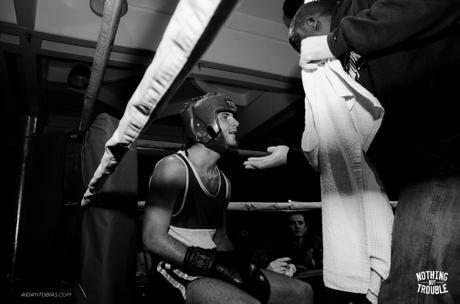 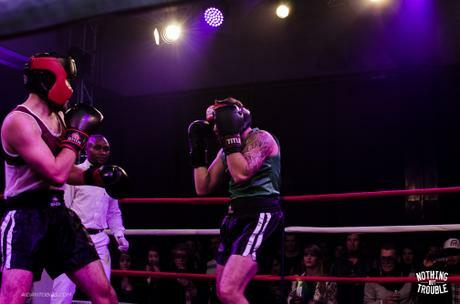 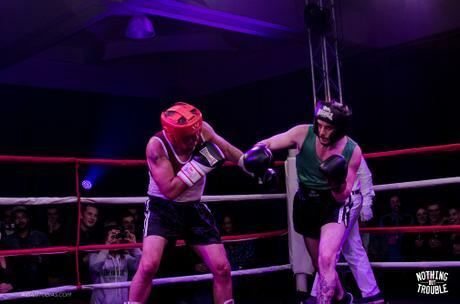 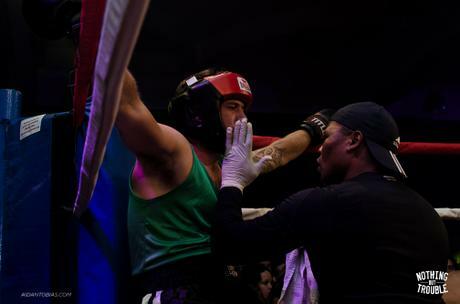 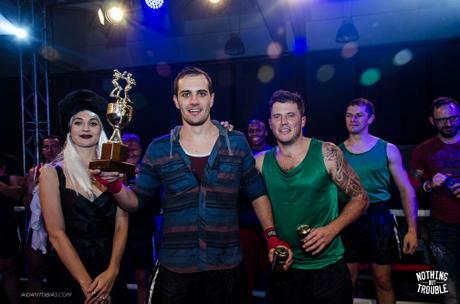 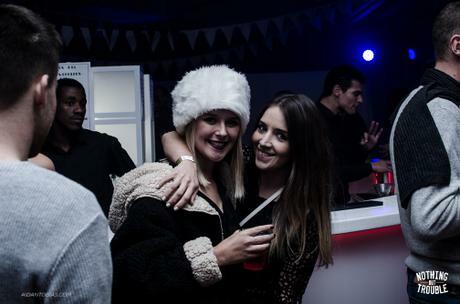 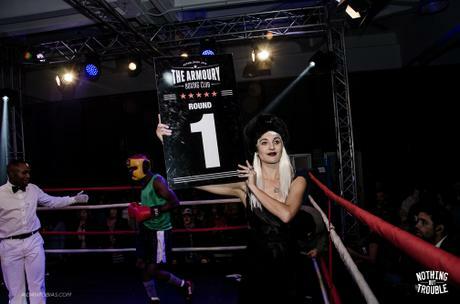 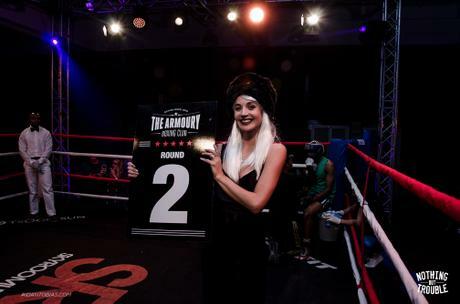 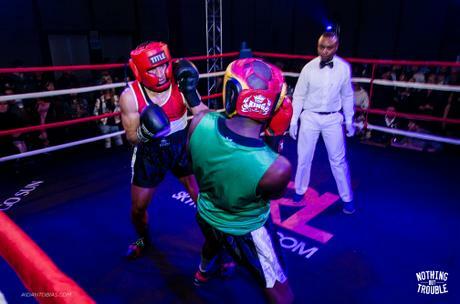 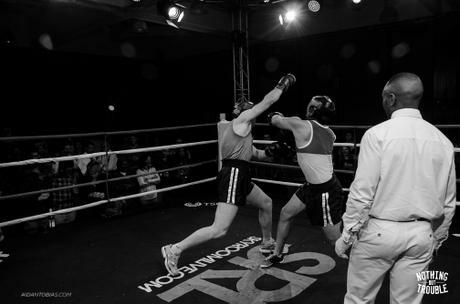 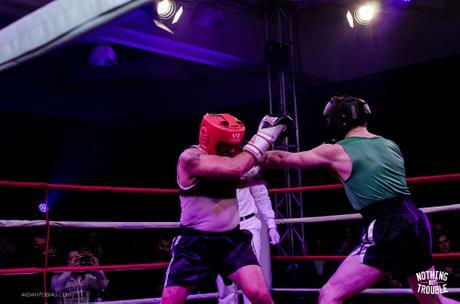 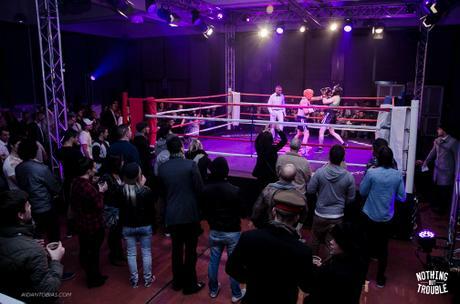 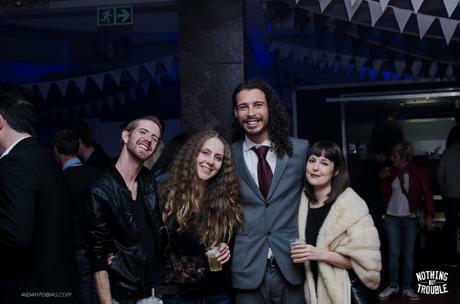 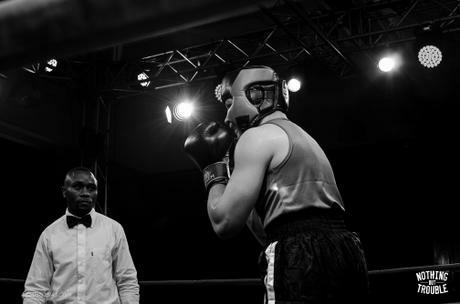 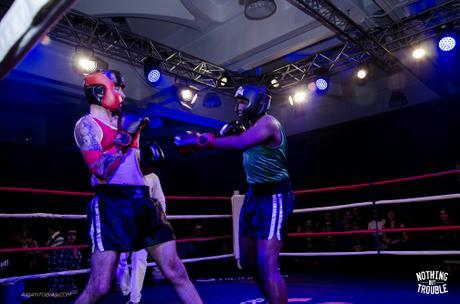 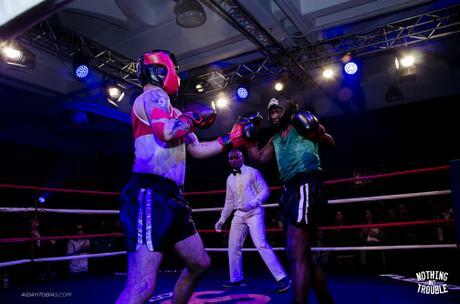 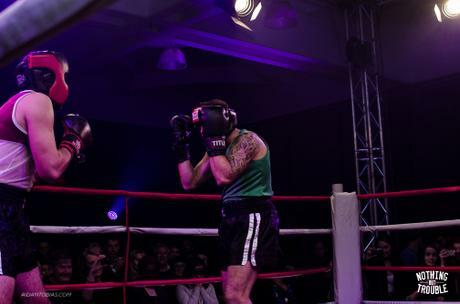 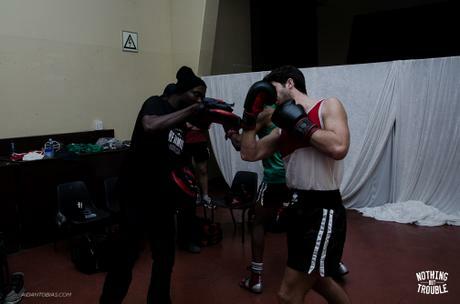 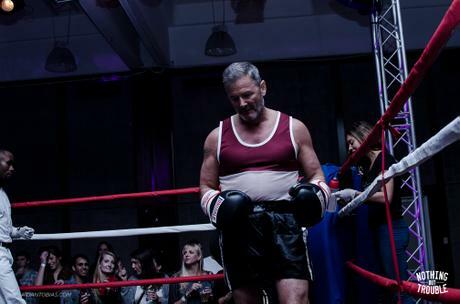 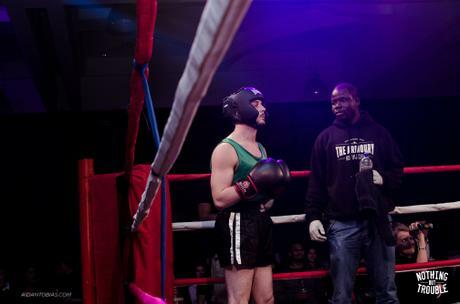 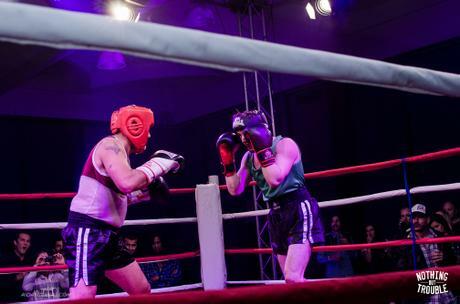 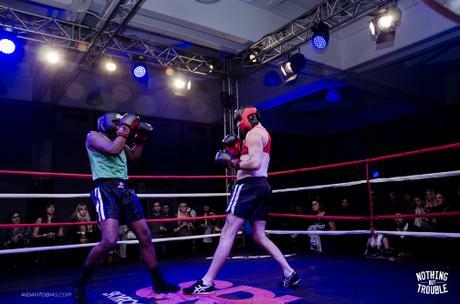 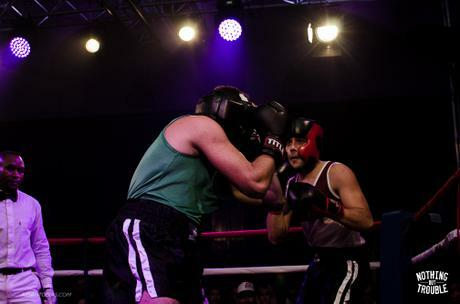 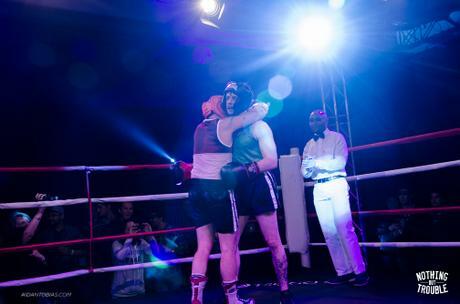 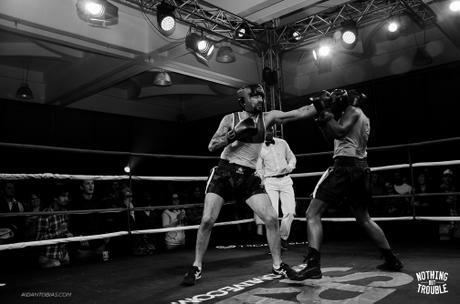 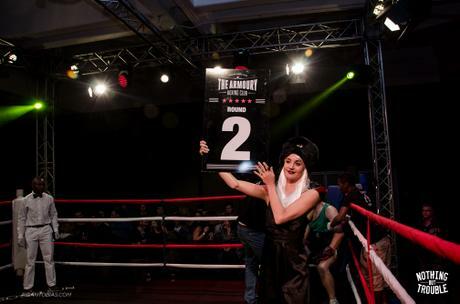 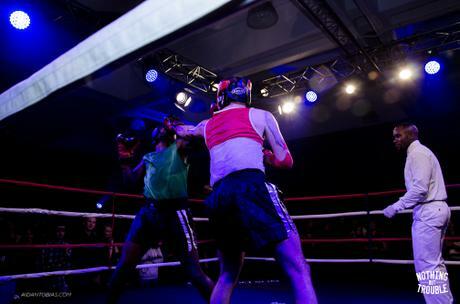 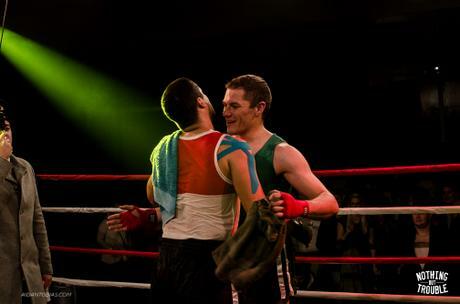 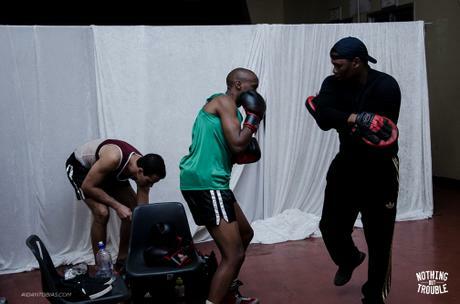 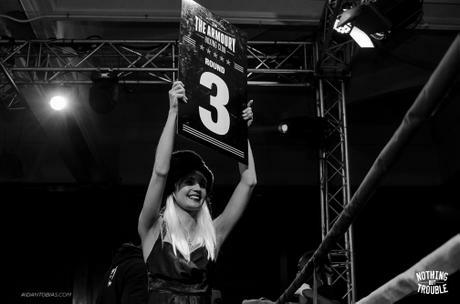 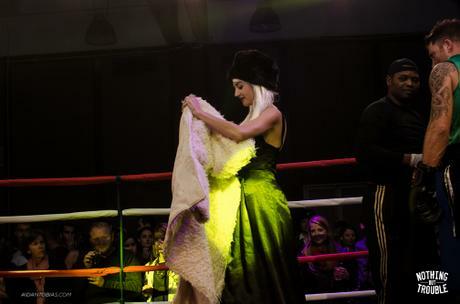 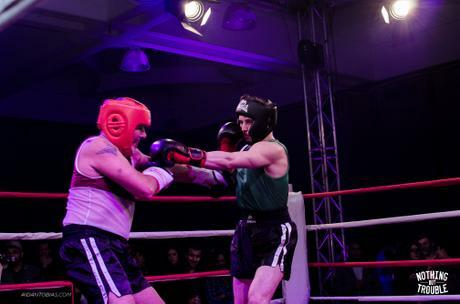 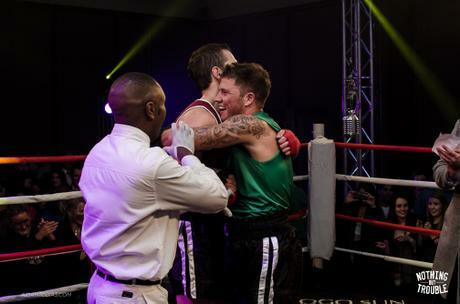 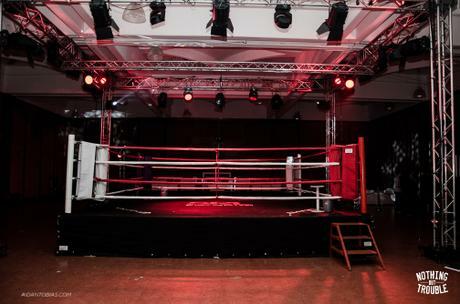 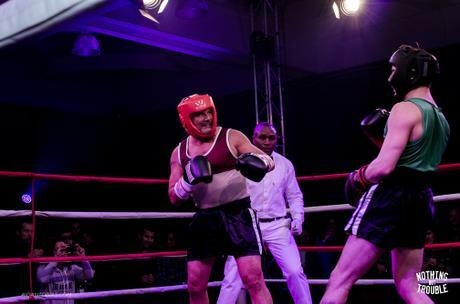 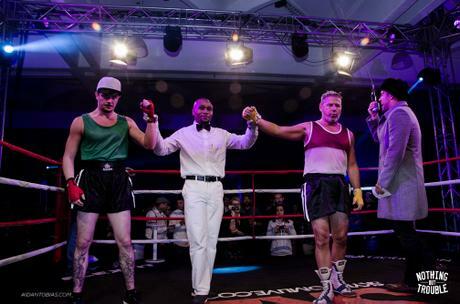 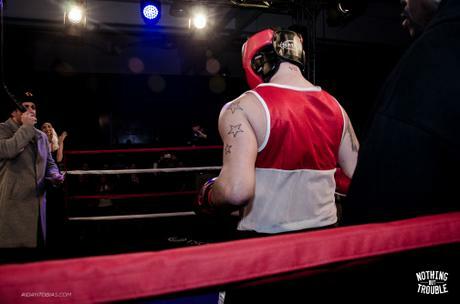 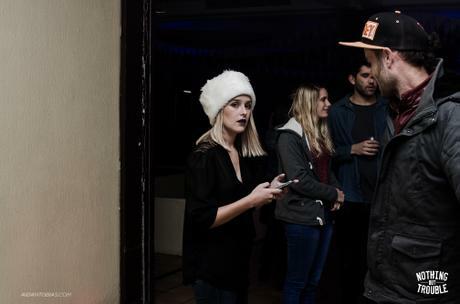 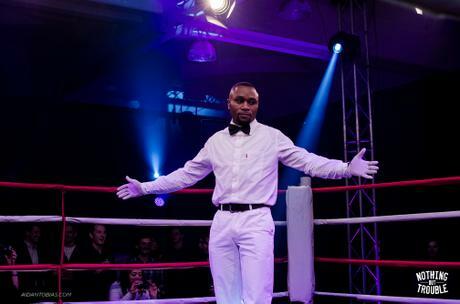 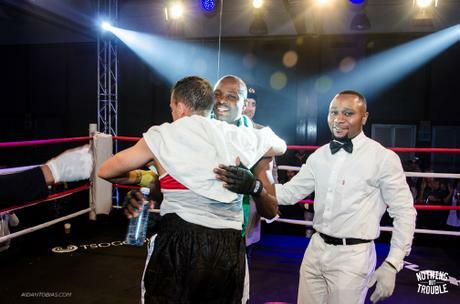 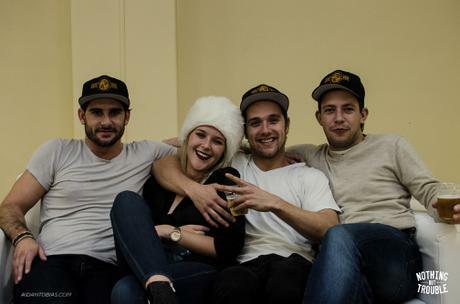 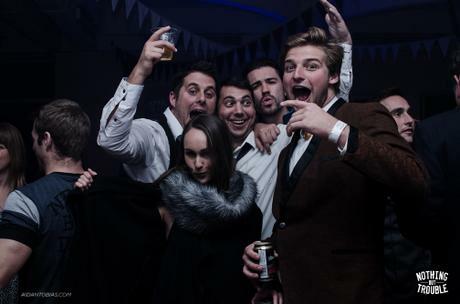 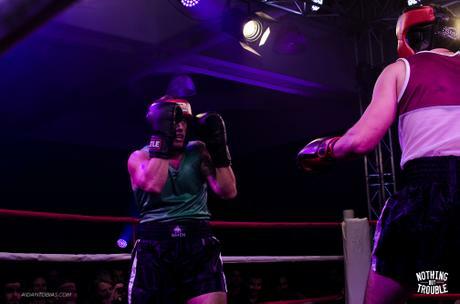 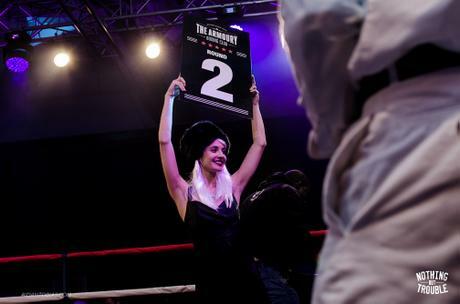 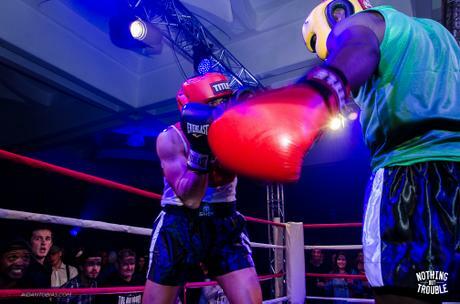 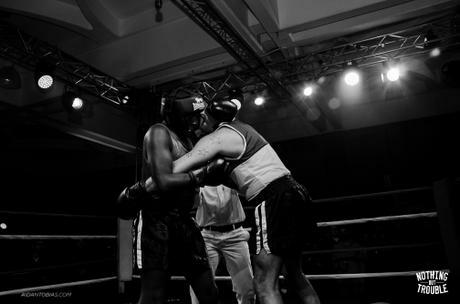 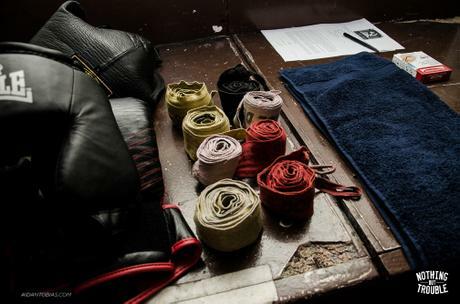 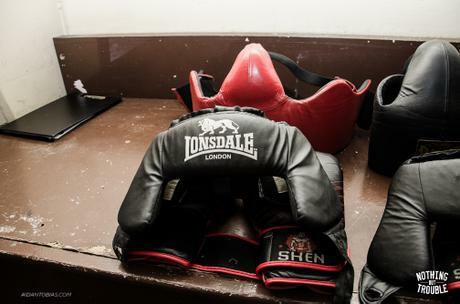 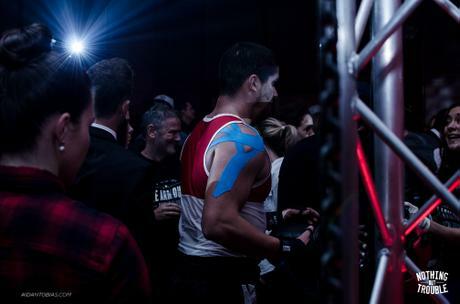 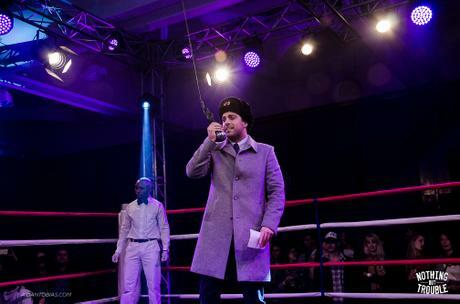 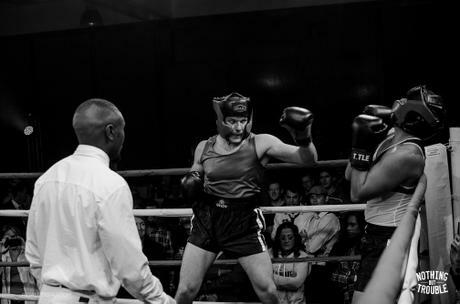 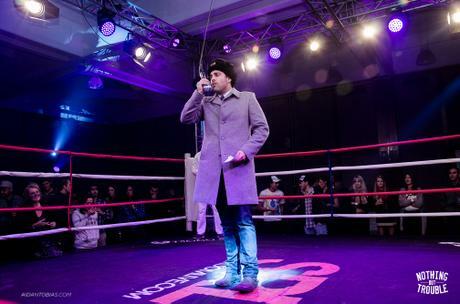 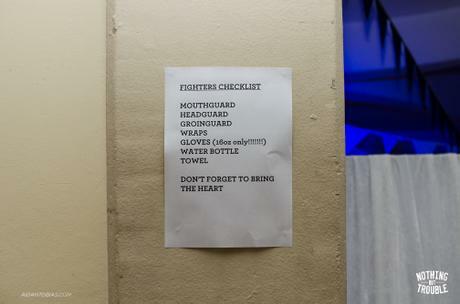 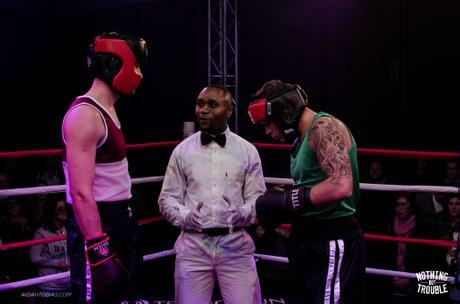 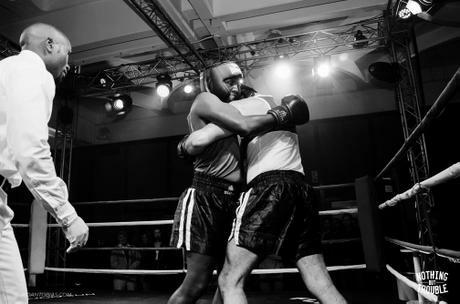 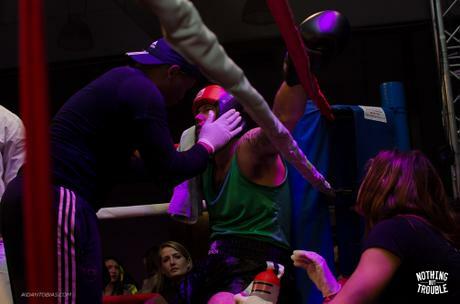 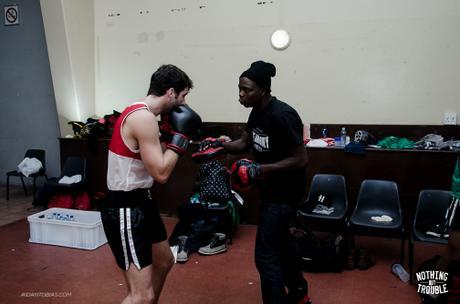 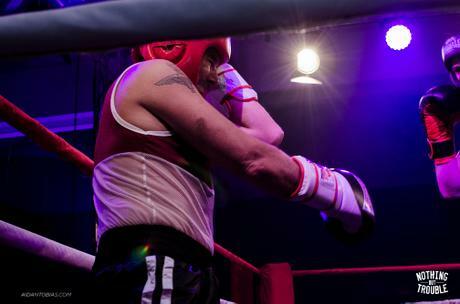 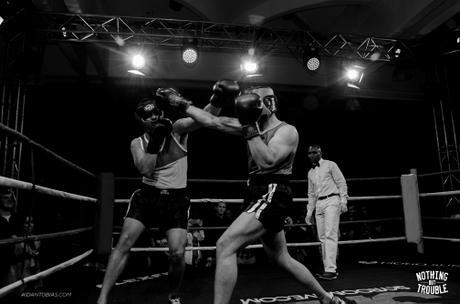 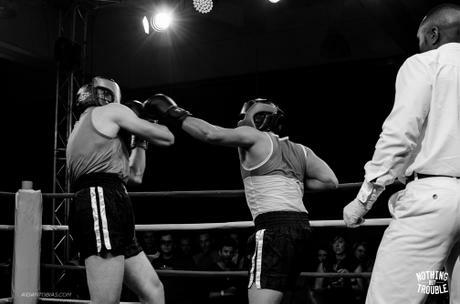 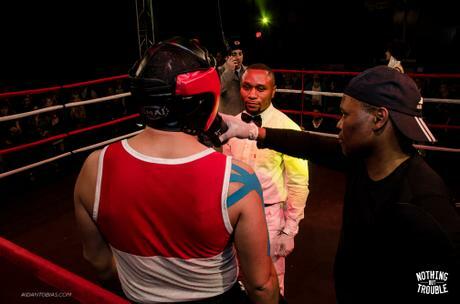 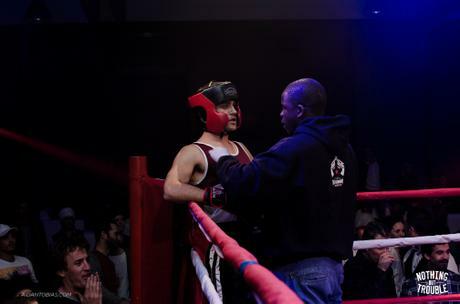 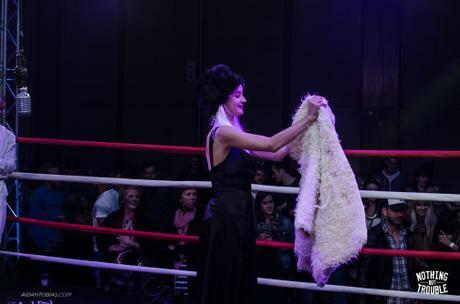 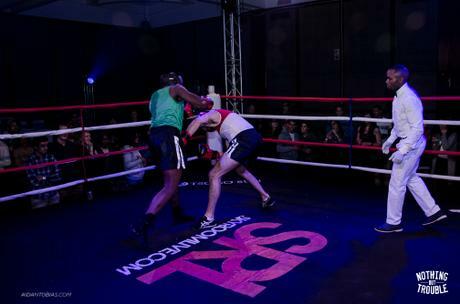 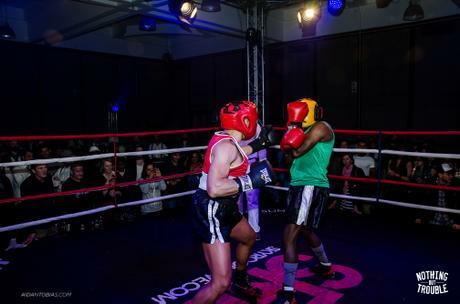 We Hosted our charity Boxing event at The Good Hope Centre in Cape Town. 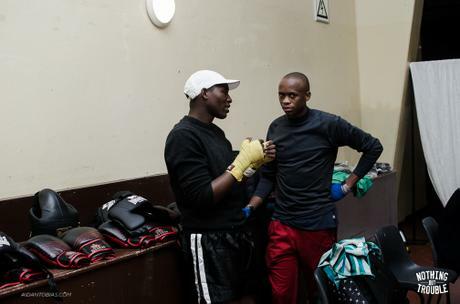 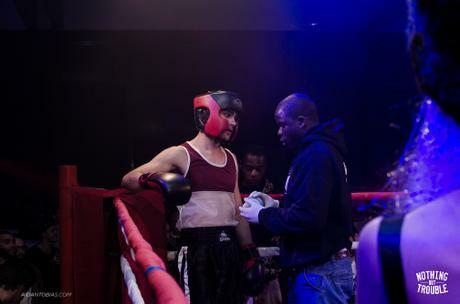 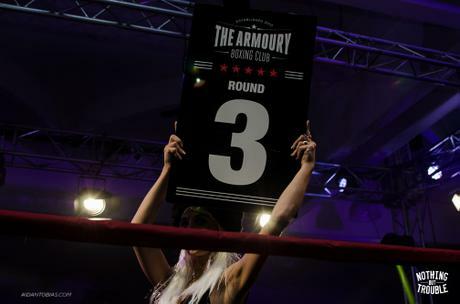 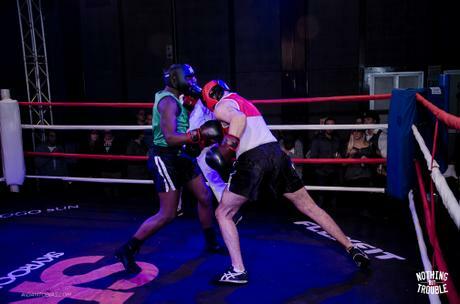 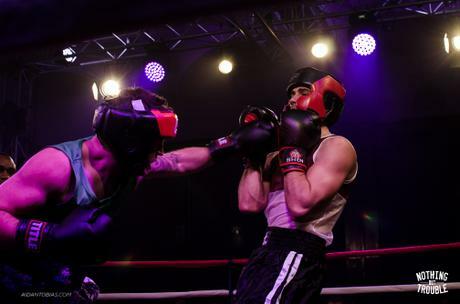 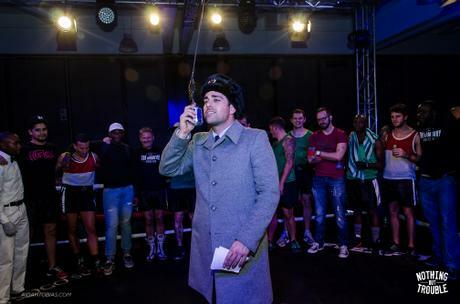 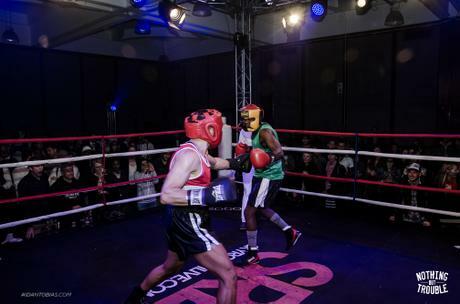 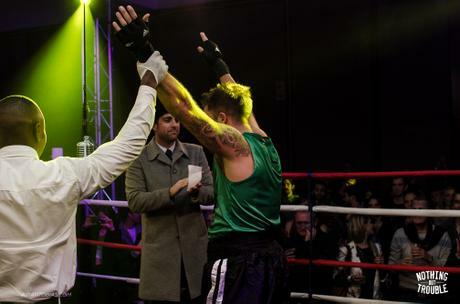 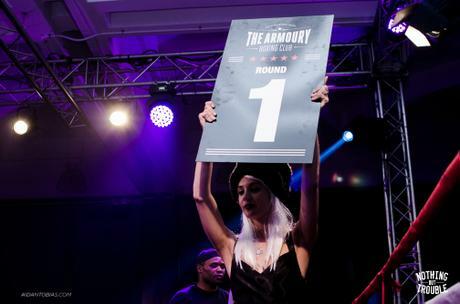 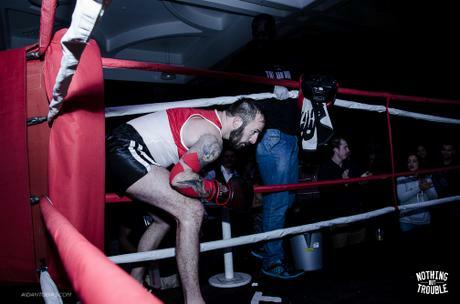 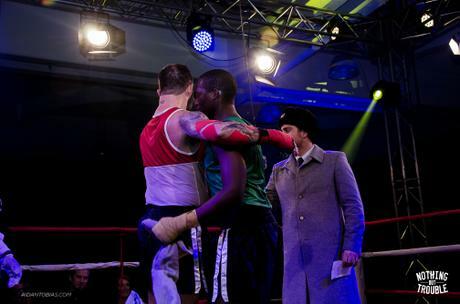 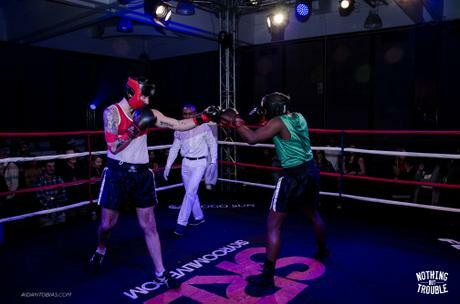 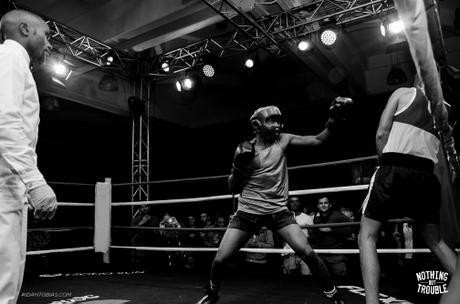 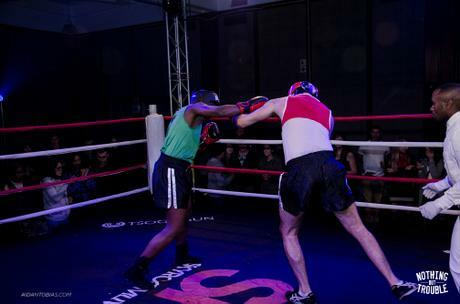 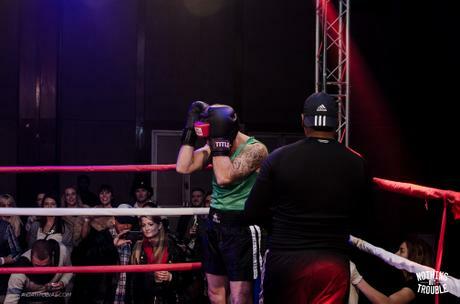 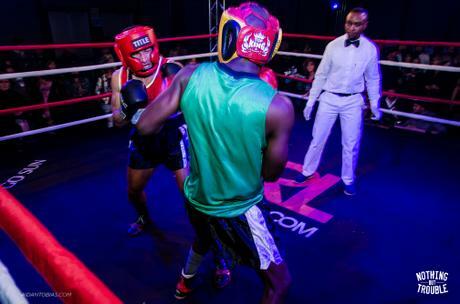 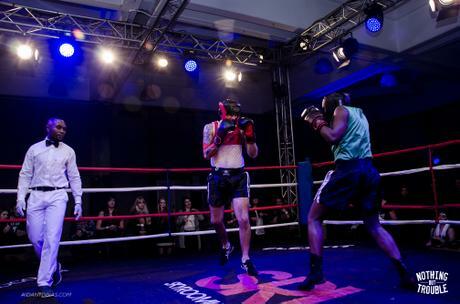 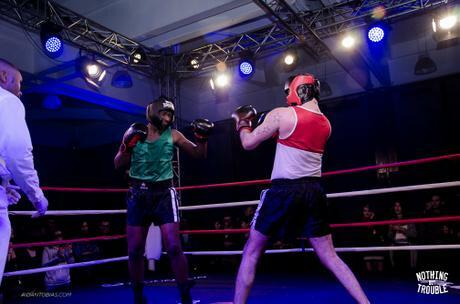 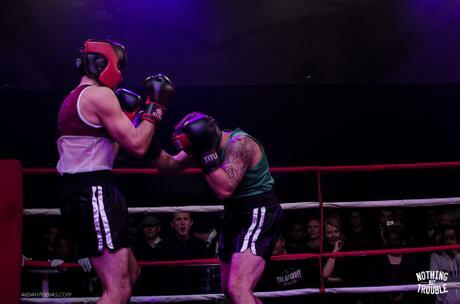 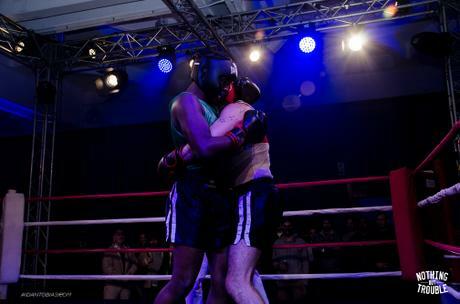 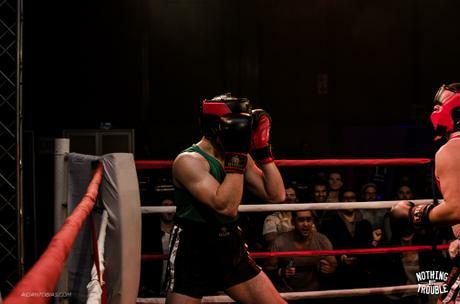 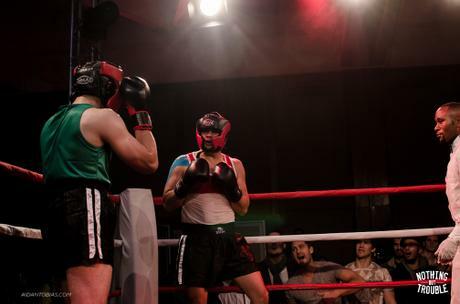 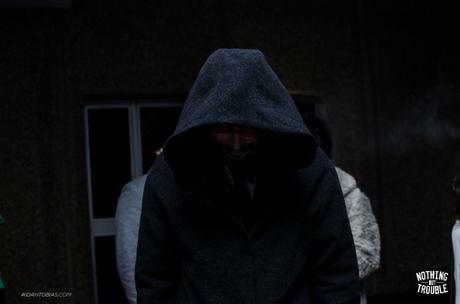 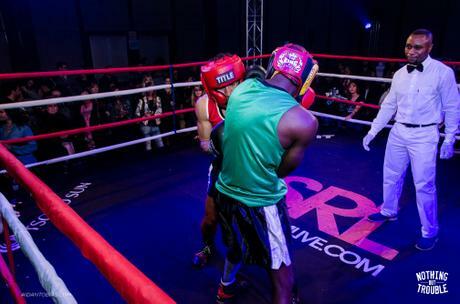 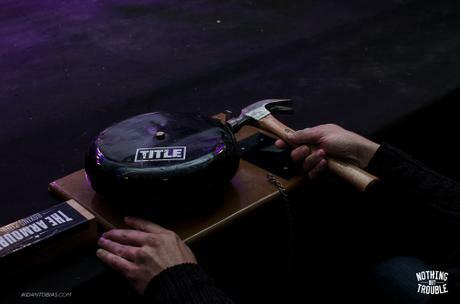 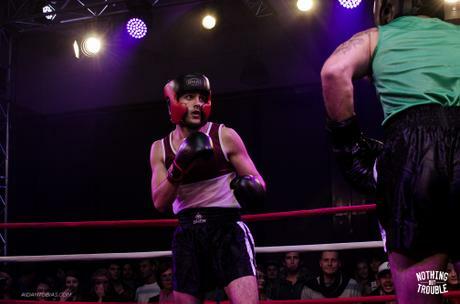 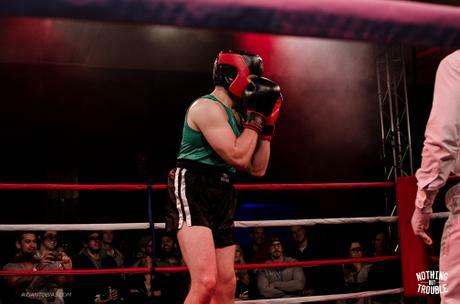 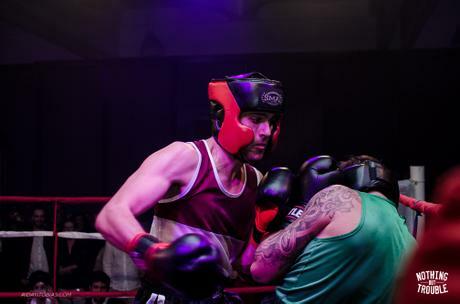 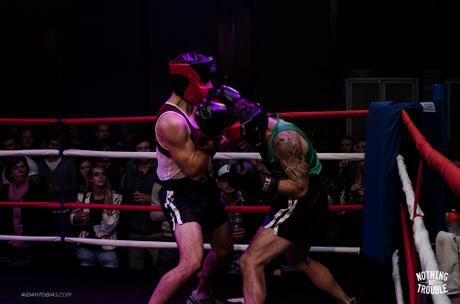 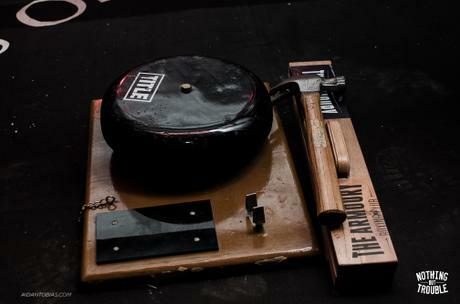 6 Fights of amateur boxers trained by The Armoury Boxing Club, 2 Dancefloors boasting P.H.fat, Django, BamBeano , Niskerone, JakobSnake and Ma’Original. 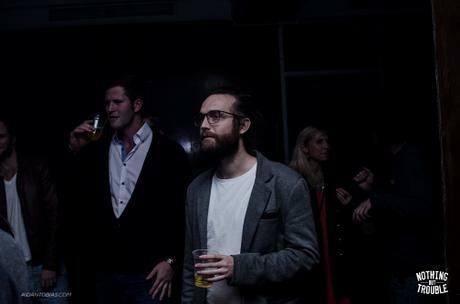 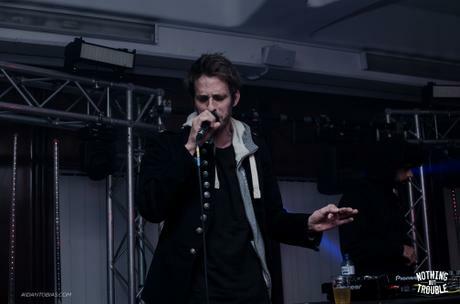 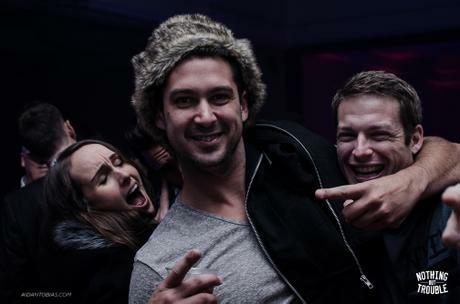 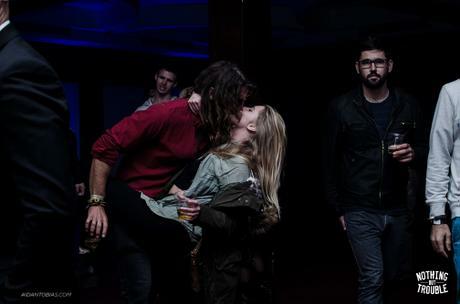 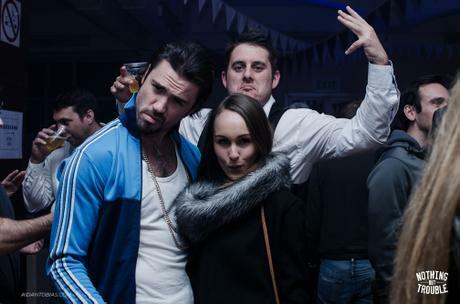 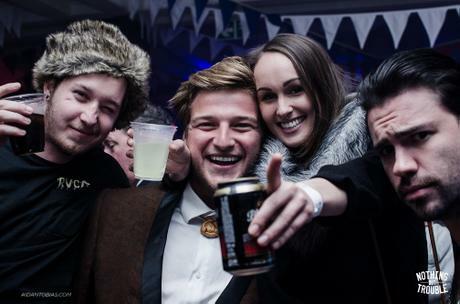 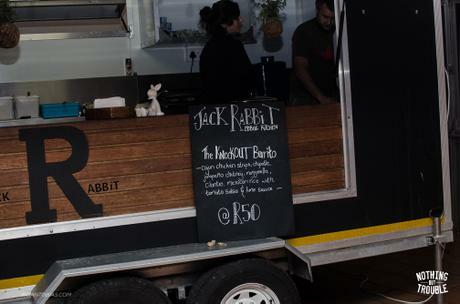 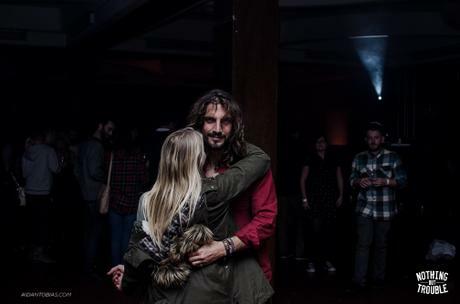 With KNOCK-OUT Burritos from JACK RABBiT and some naughty coffee from the guys at Cafe Duo- an awesome night was had! 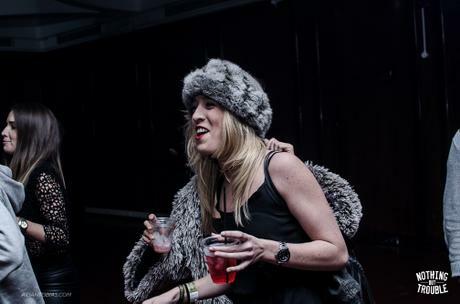 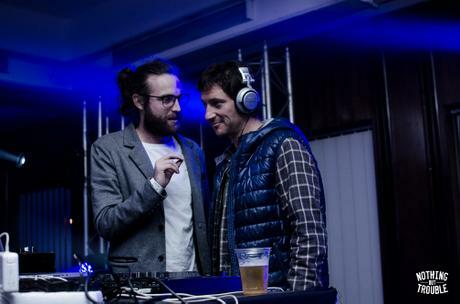 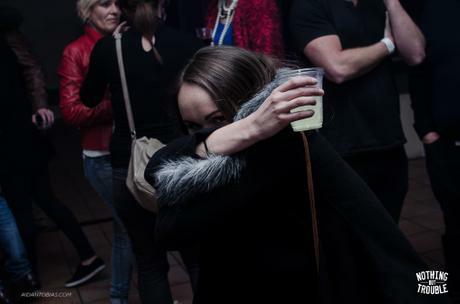 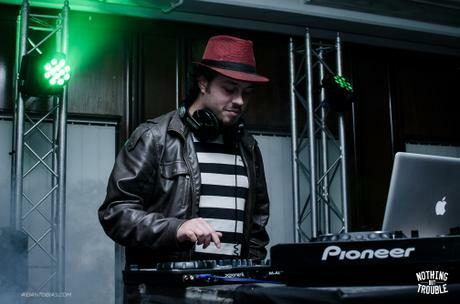 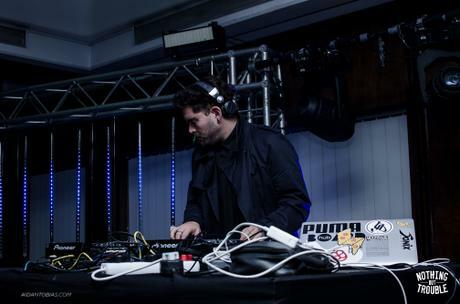 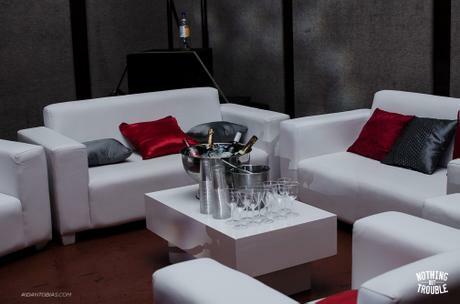 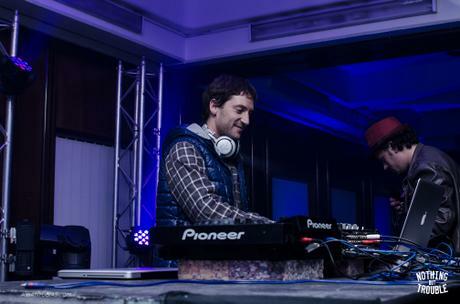 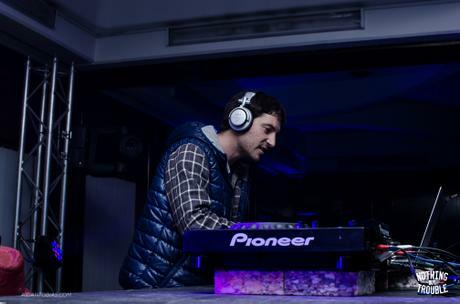 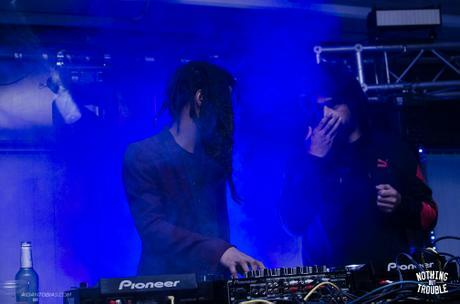 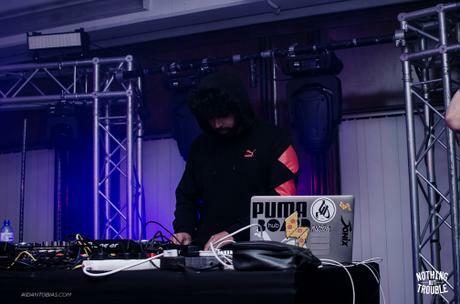 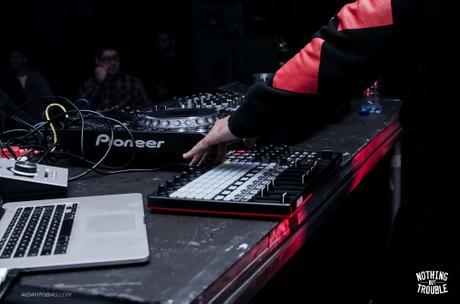 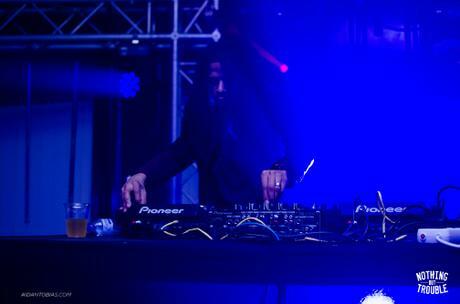 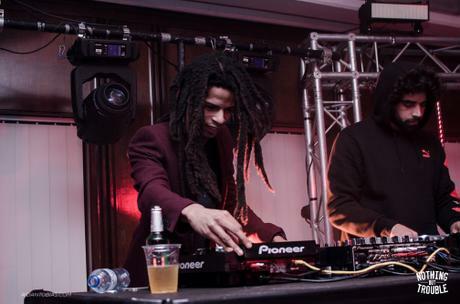 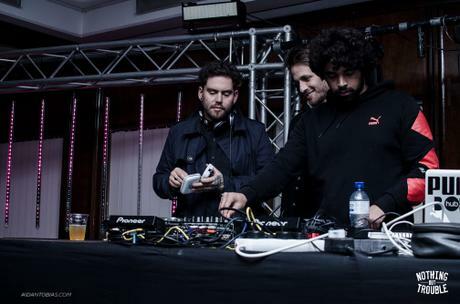 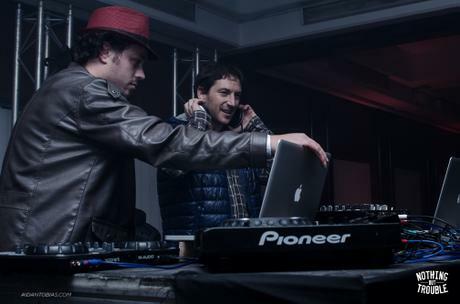 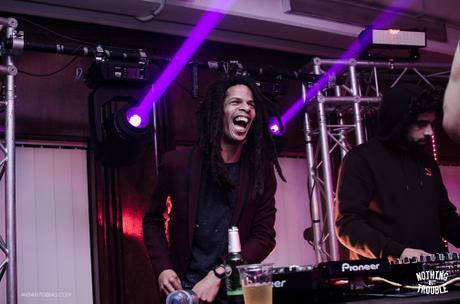 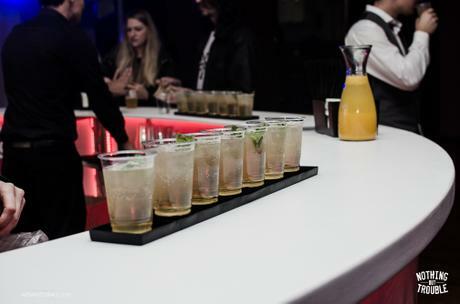 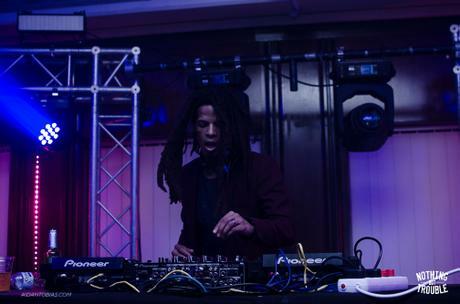 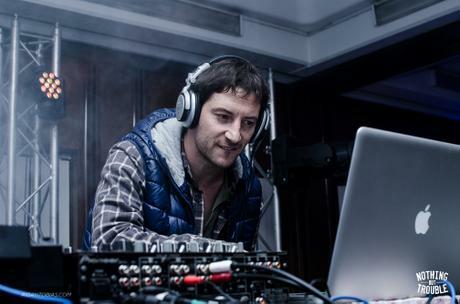 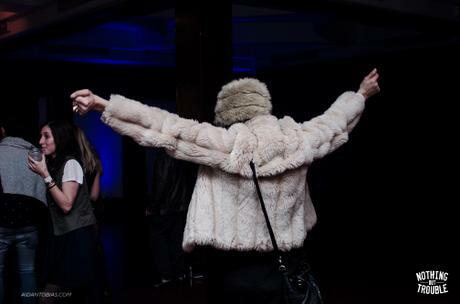 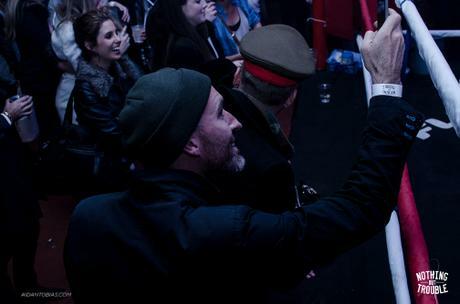 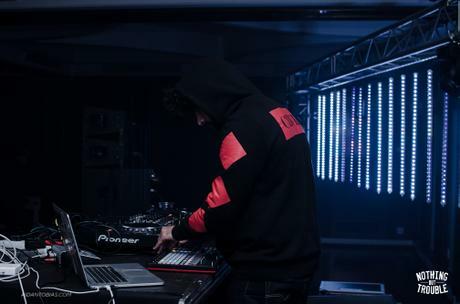 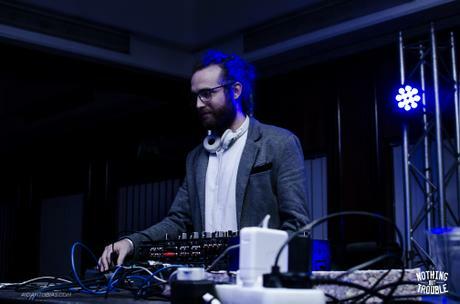 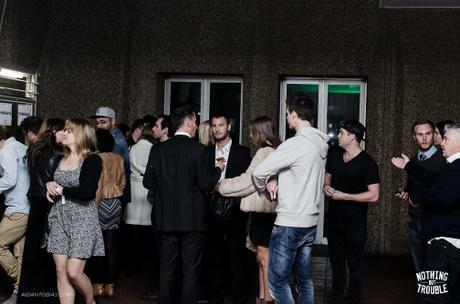 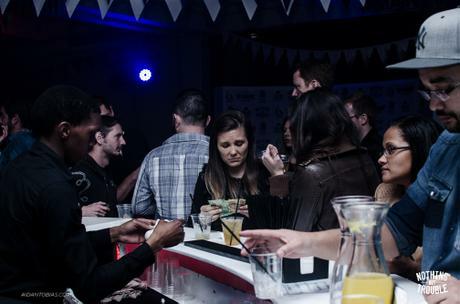 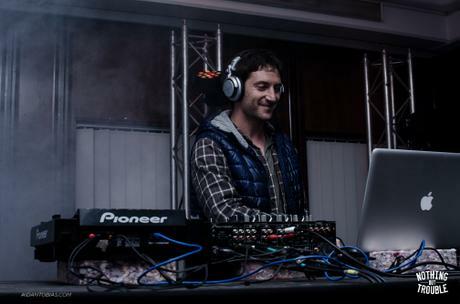 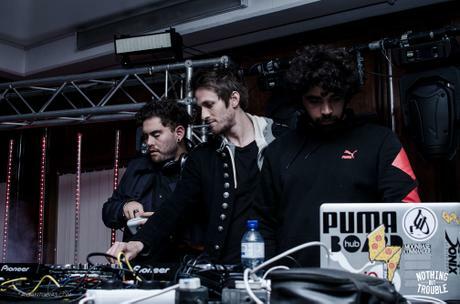 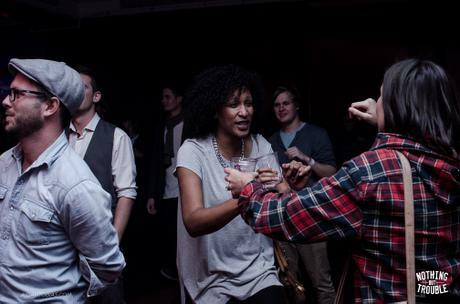 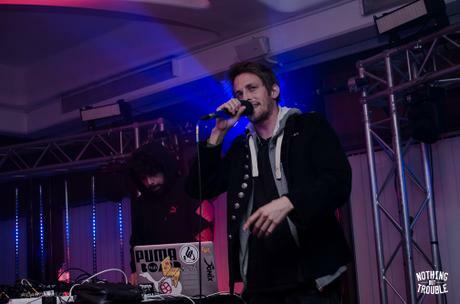 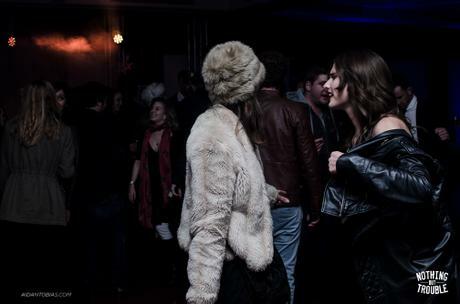 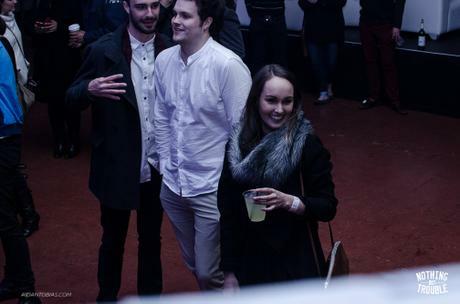 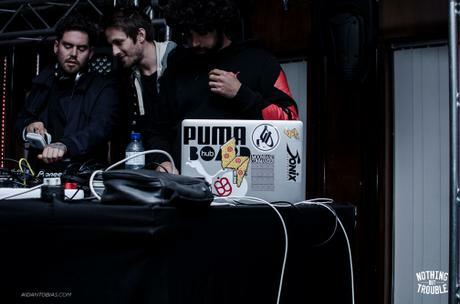 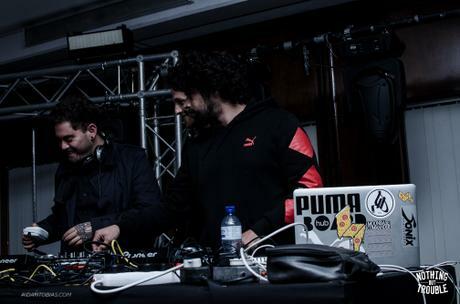 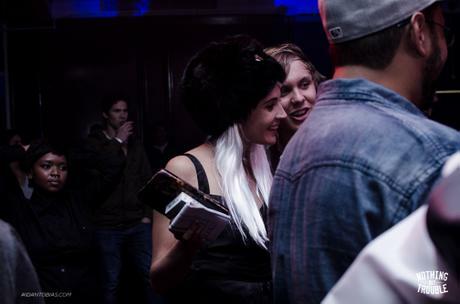 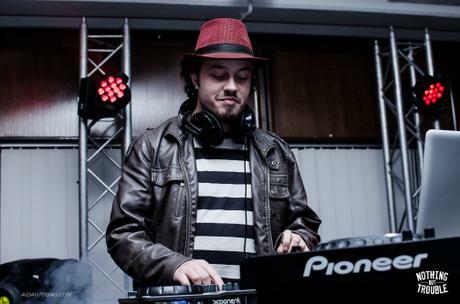 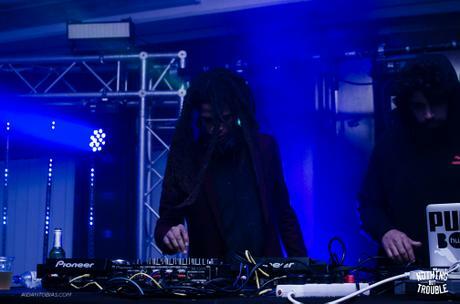 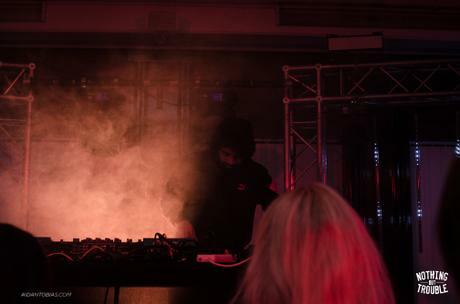 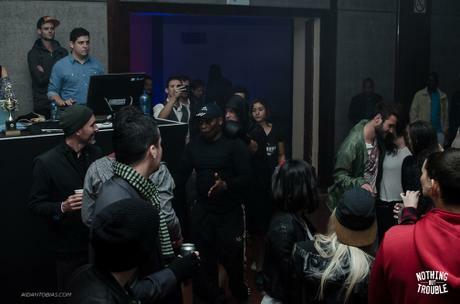 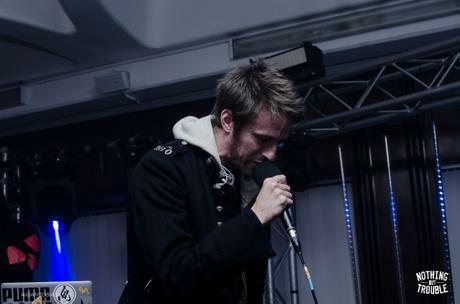 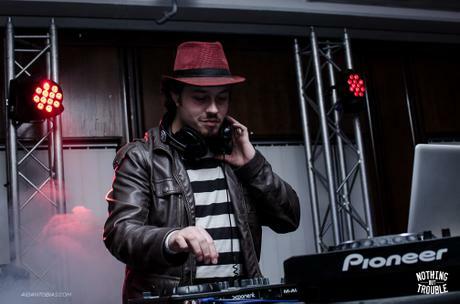 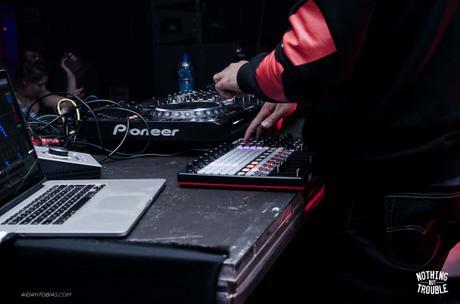 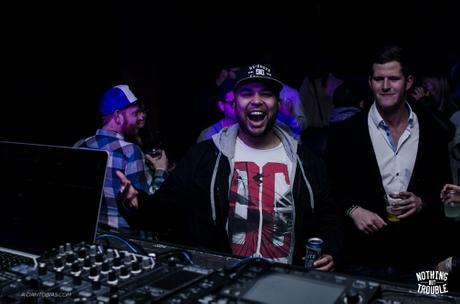 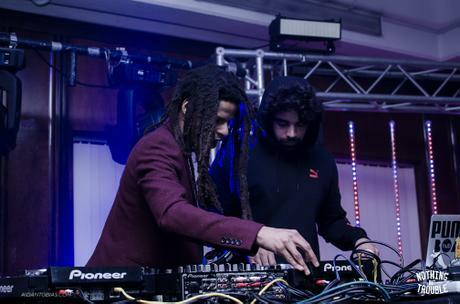 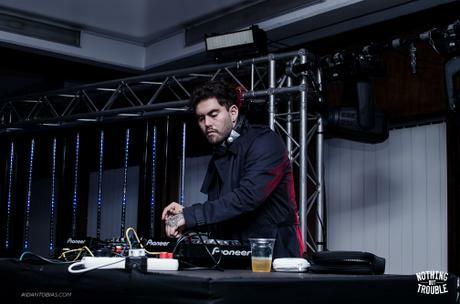 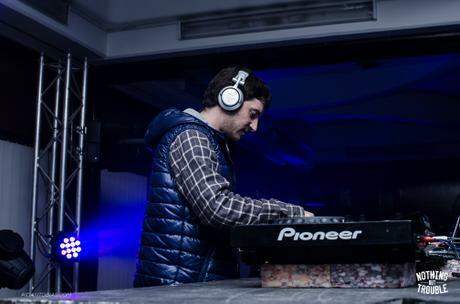 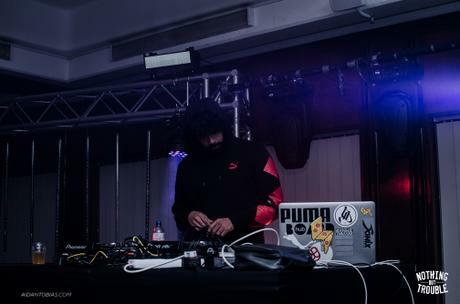 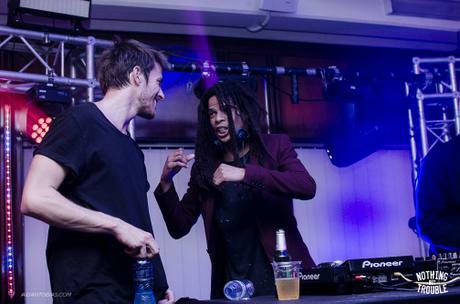 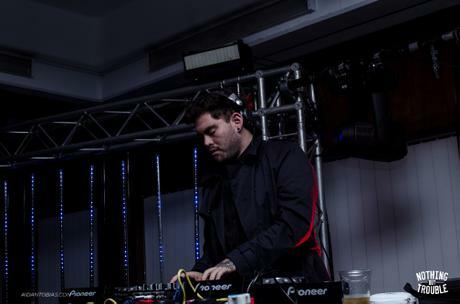 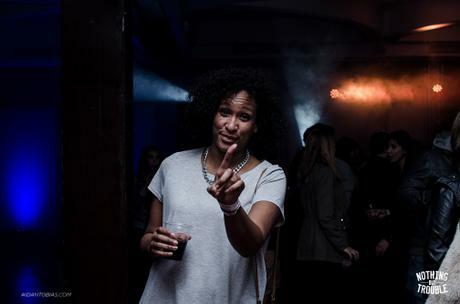 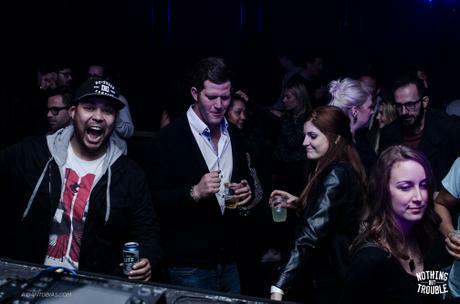 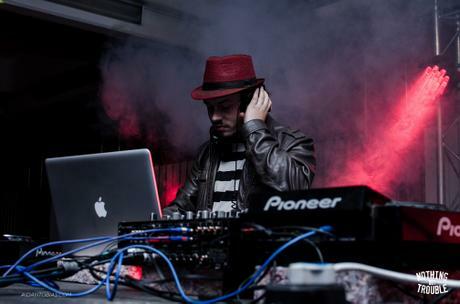 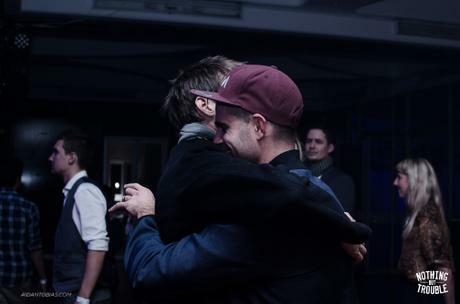 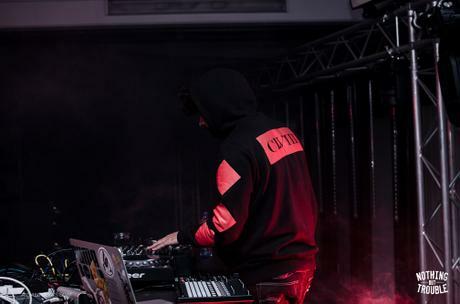 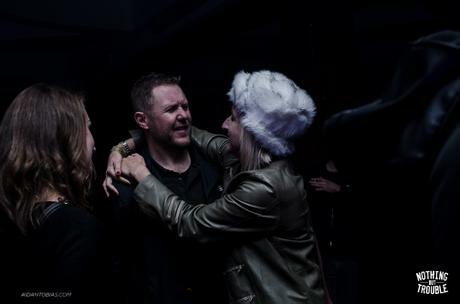 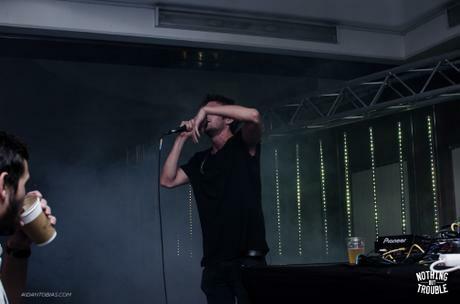 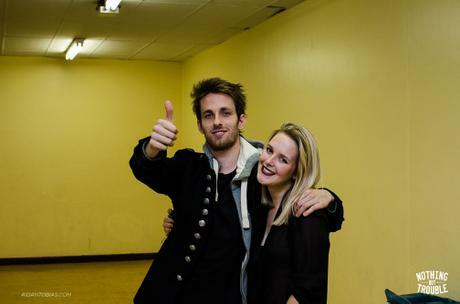 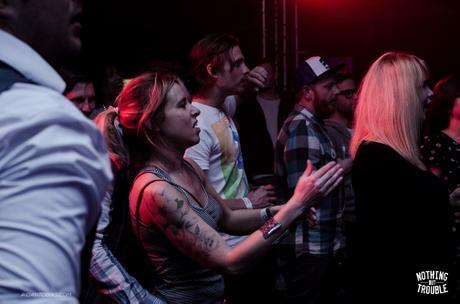 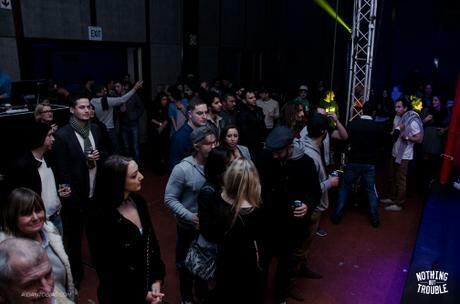 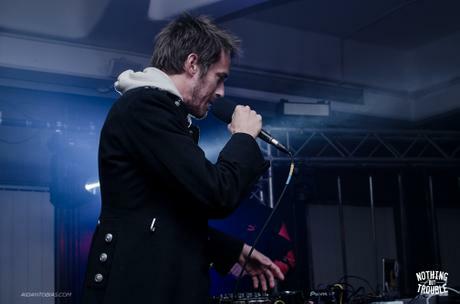 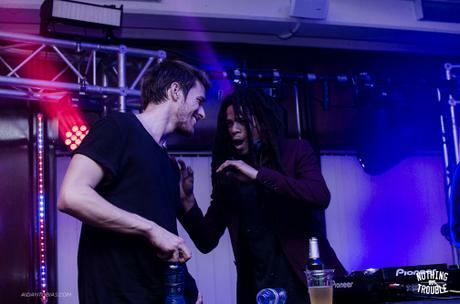 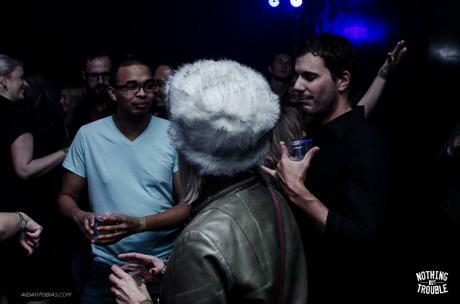 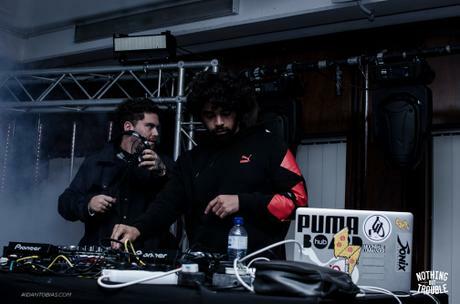 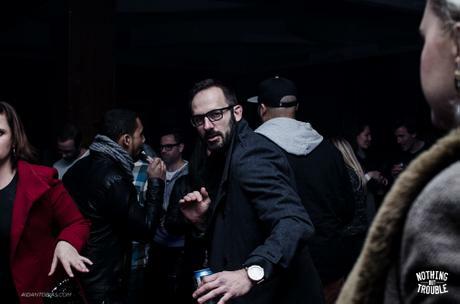 Thank you to BLEND EVENTLIFE and everyone involved! 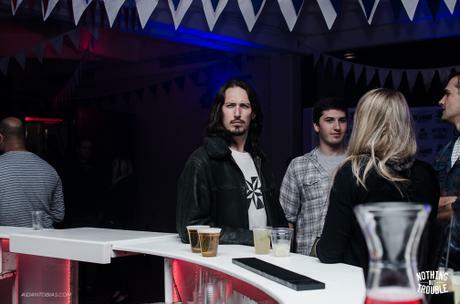 We will announce our donation to Pebbles Project shortly!